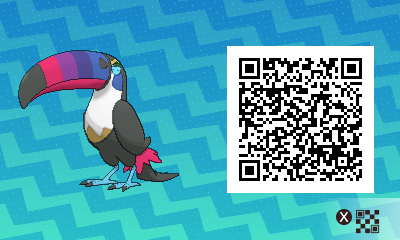 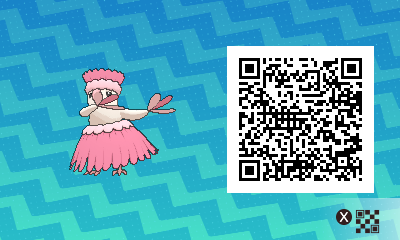 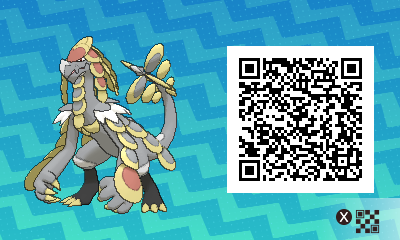 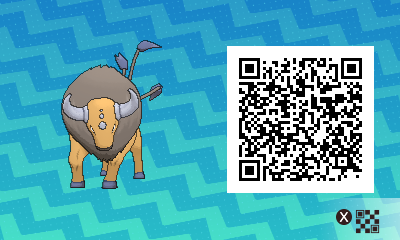 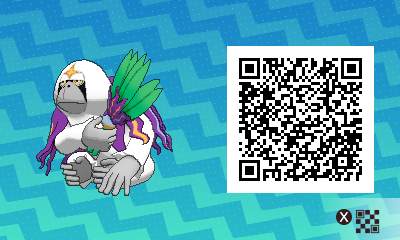 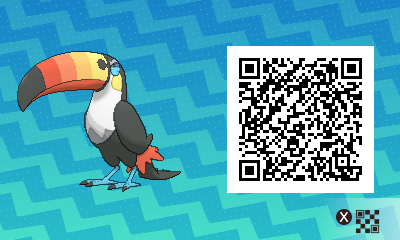 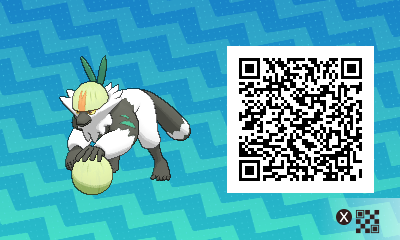 On this page, you will find the complete list of QR codes, Serial codes, events, and more for Pokémon Sun and Moon! 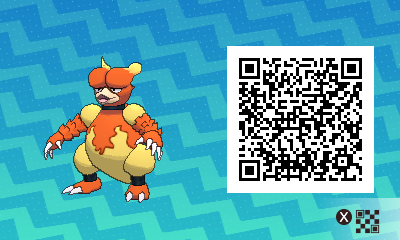 Latest update: Hidden Ability Oranguru and Passimian distribution (worldwide)! 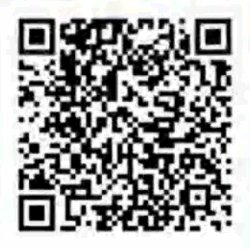 NB: Don’t forget to download the latest update if you want to keep using the online features: click here for more details. 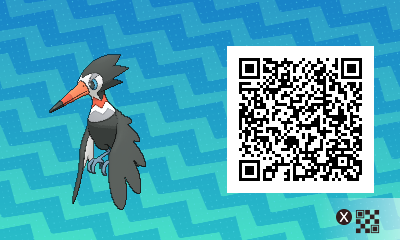 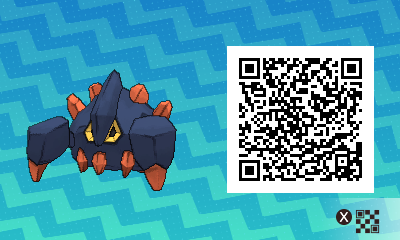 Looking for Pokémon Ultra Sun and Ultra Moon QR Codes, Serial Codes, distributions, and events? Click here! 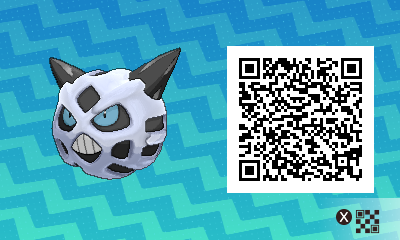 Pokémon Sun and Moon introduces a brand new feature: QR codes. 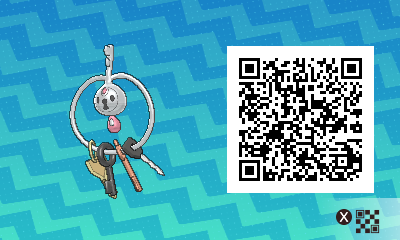 There are actually two kinds of codes, and they do not work the same way. 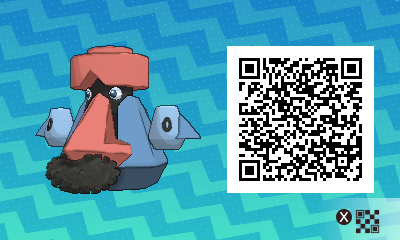 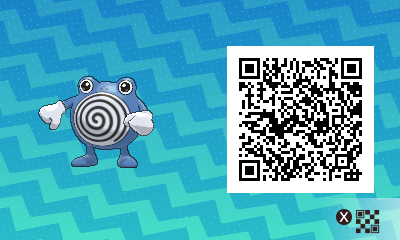 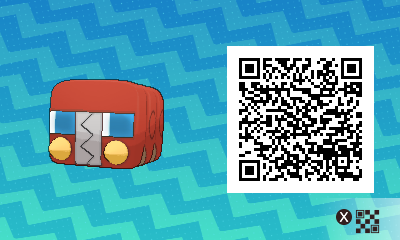 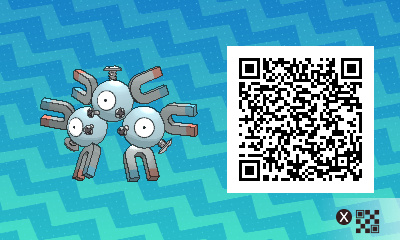 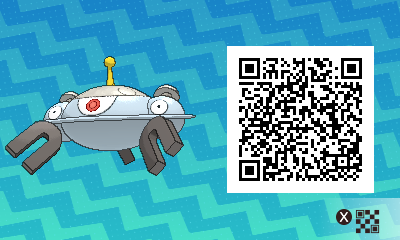 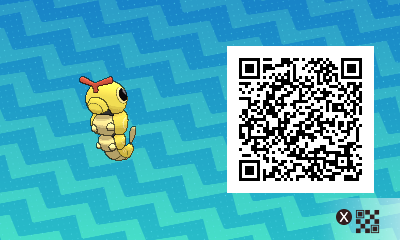 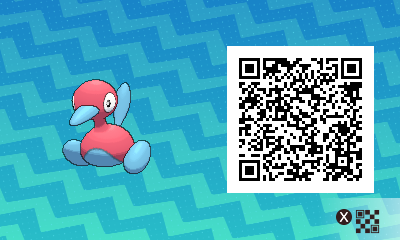 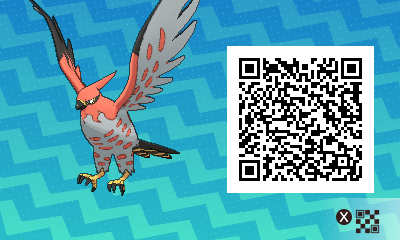 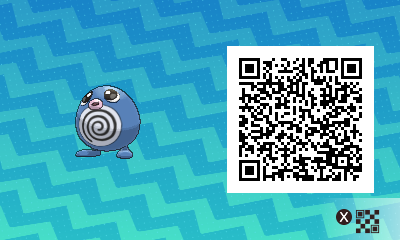 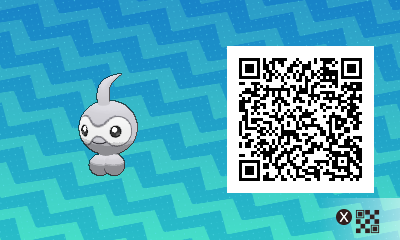 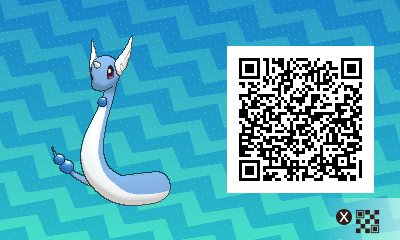 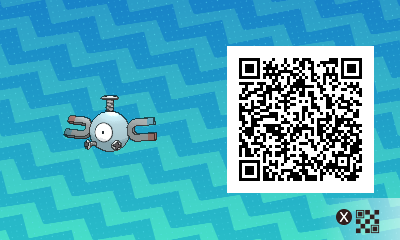 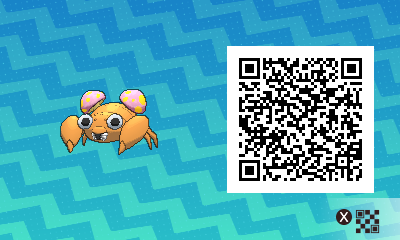 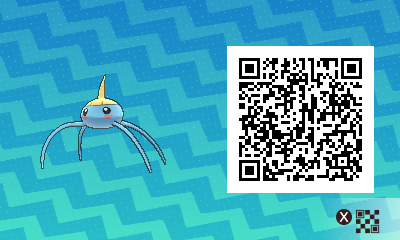 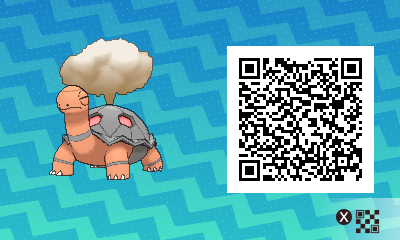 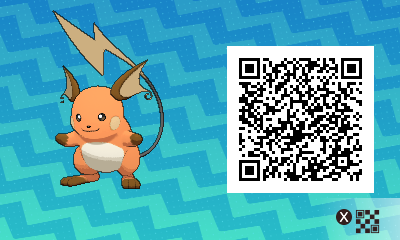 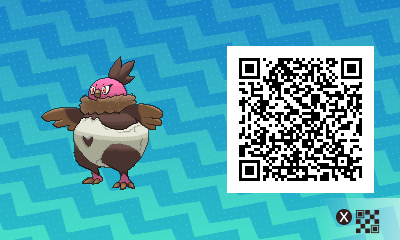 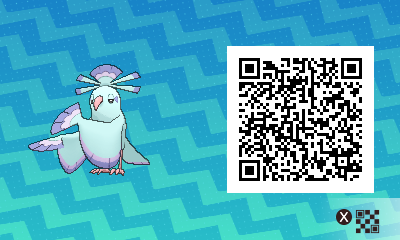 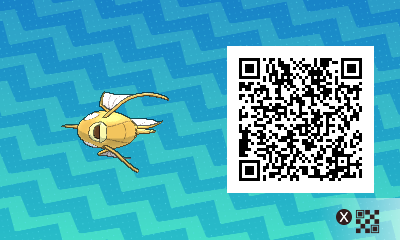 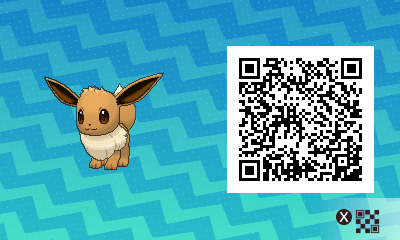 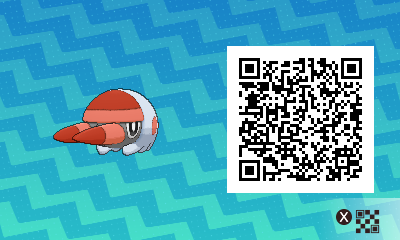 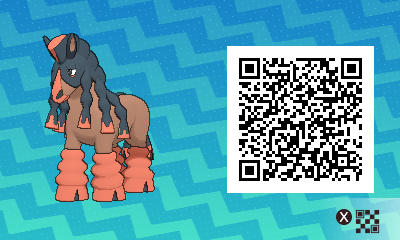 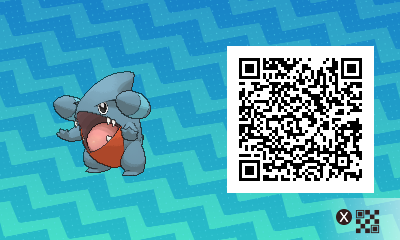 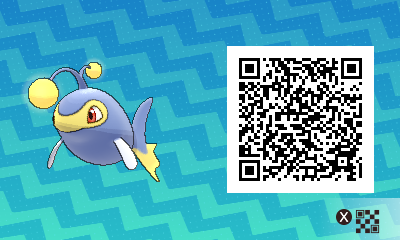 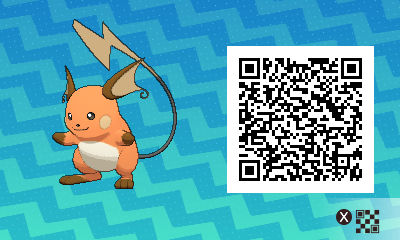 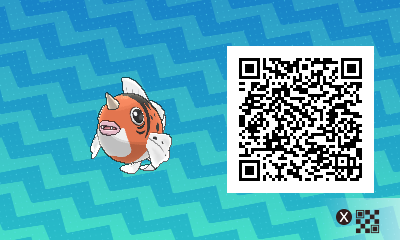 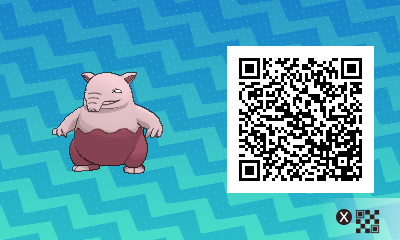 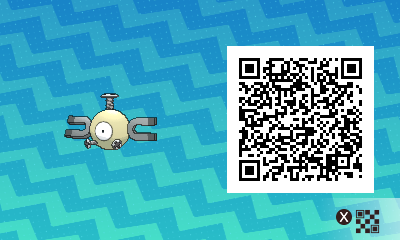 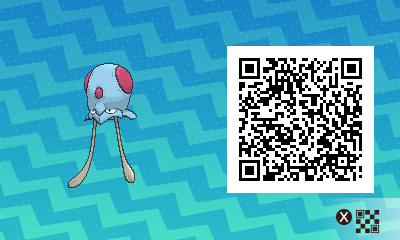 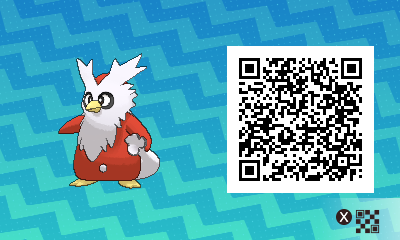 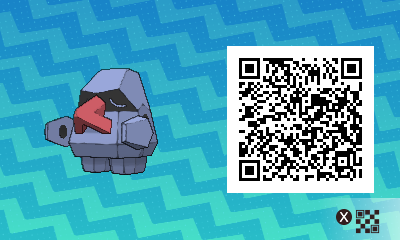 The Pokédex QR codes allows you to automatically mark a Pokémon as seen in your Pokédex. 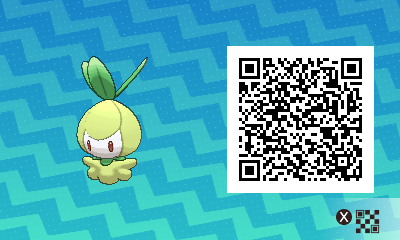 The distribution QR codes allow you to immediately get a Pokémon, but can only be used after reaching a certain point in the game and are region-locked. 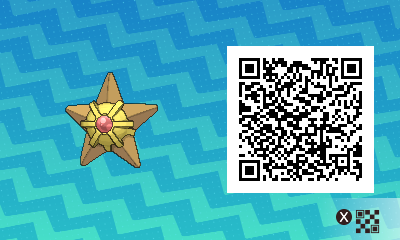 As mentioned above, those allow you to immediately get a Pokémon (generally via a special event in-game), instead of simply adding it to your Pokédex. 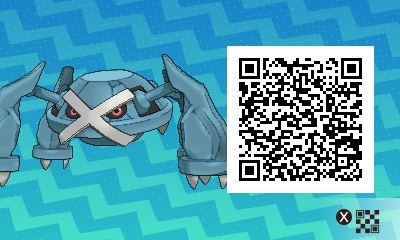 The QR codes are region-locked, so you can only use those from your region! 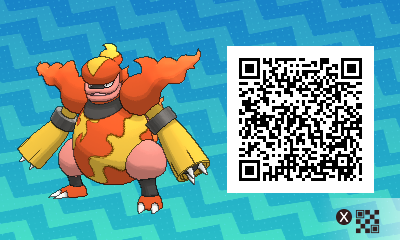 Unlike the distribution ones, those are not region-locked. 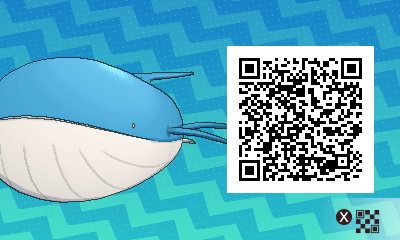 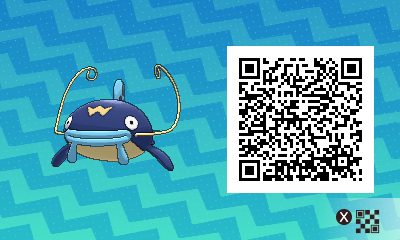 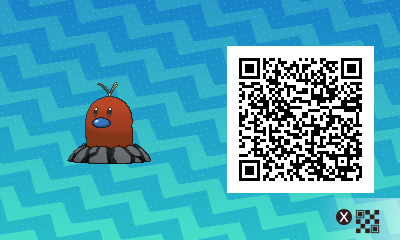 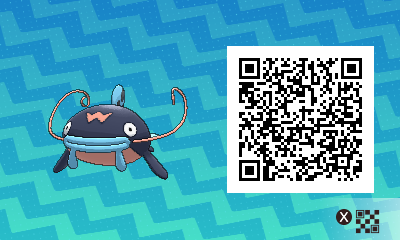 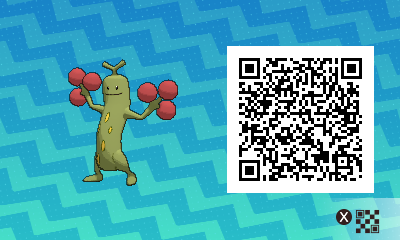 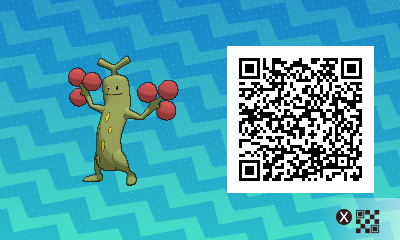 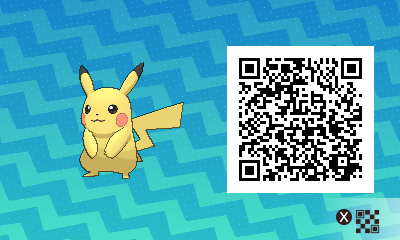 Feel free to scan them using the QR Scanner in-game to find out where each Pokémon is living. 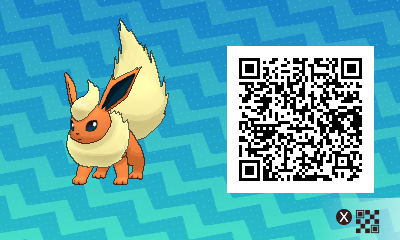 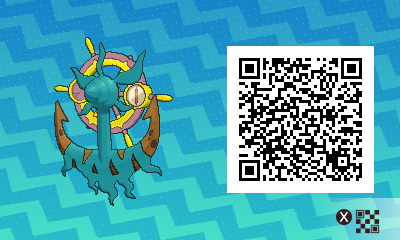 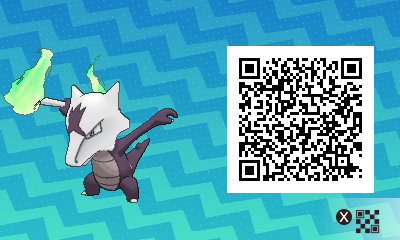 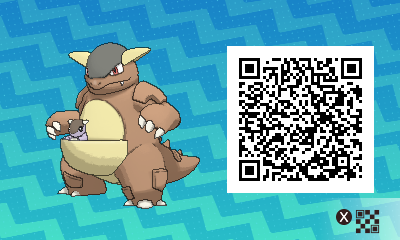 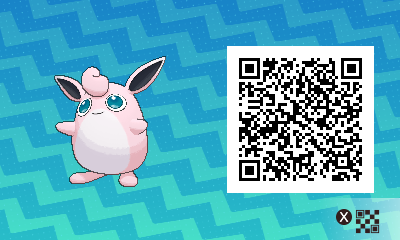 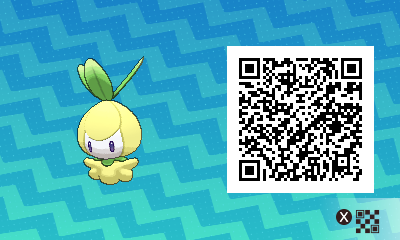 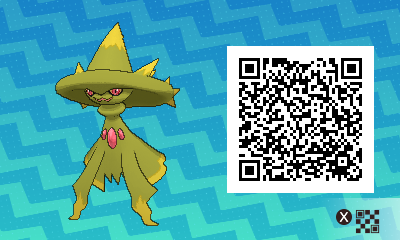 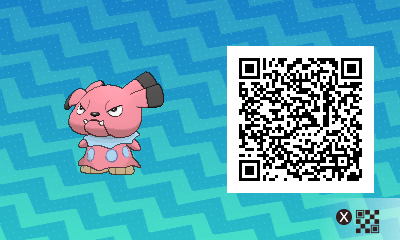 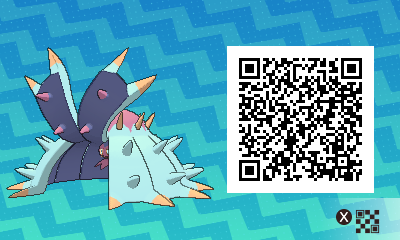 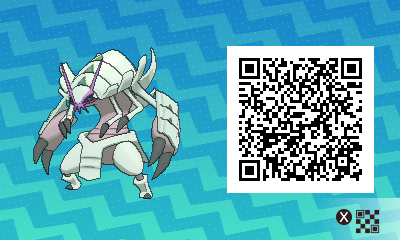 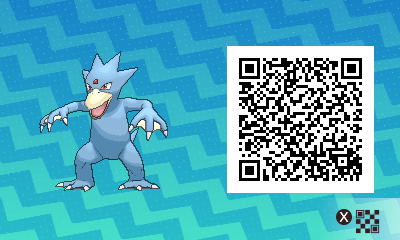 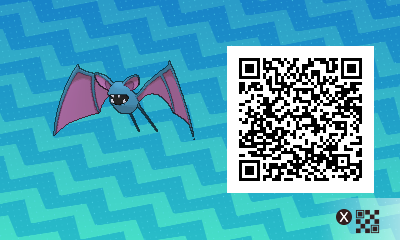 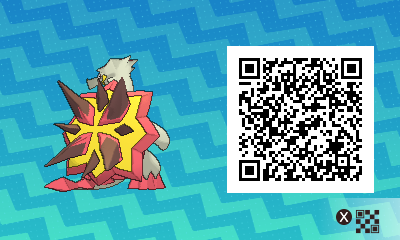 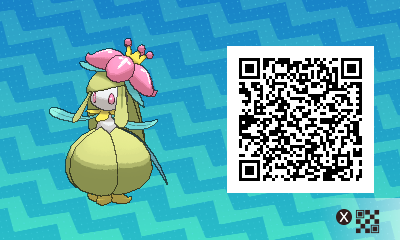 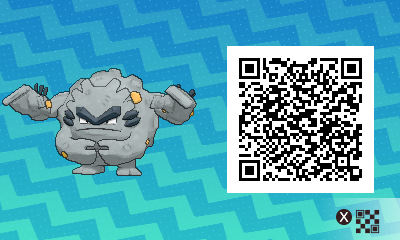 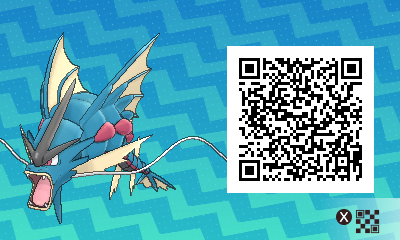 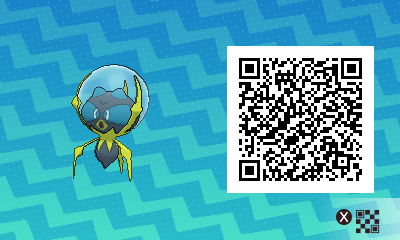 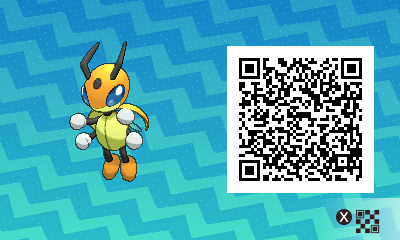 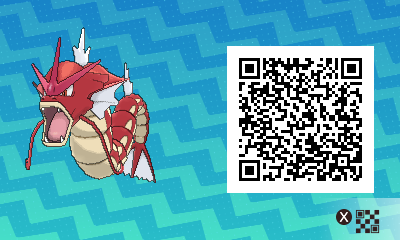 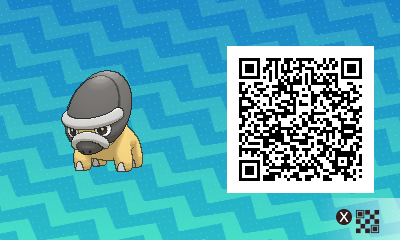 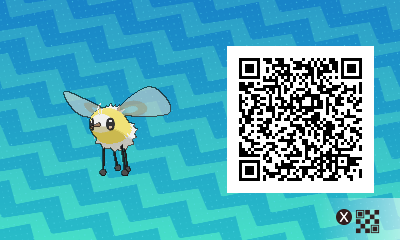 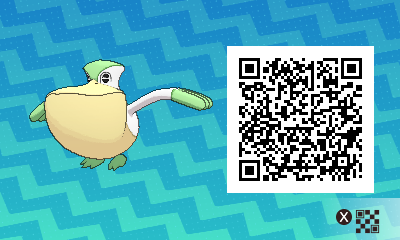 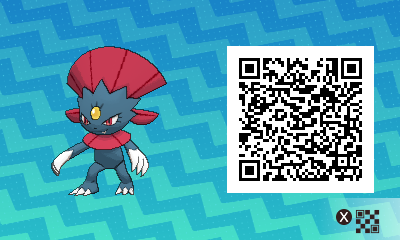 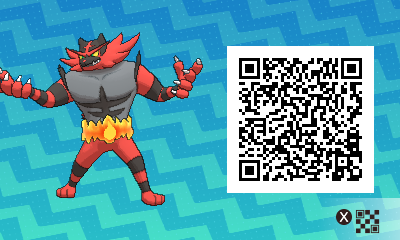 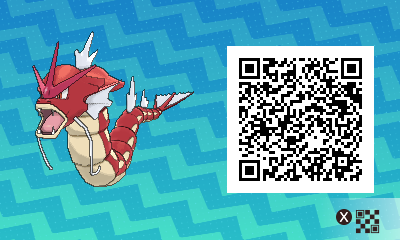 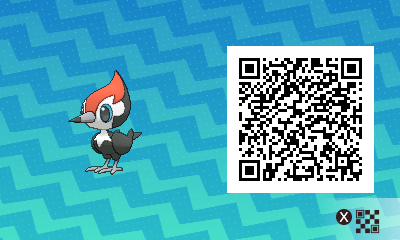 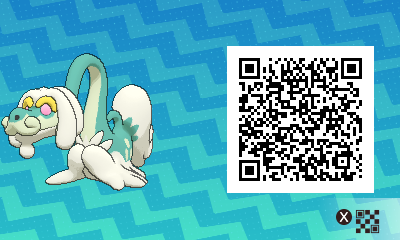 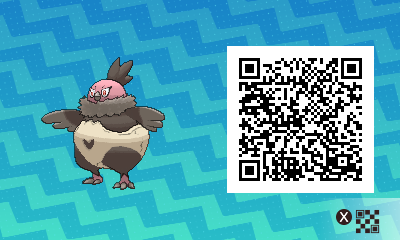 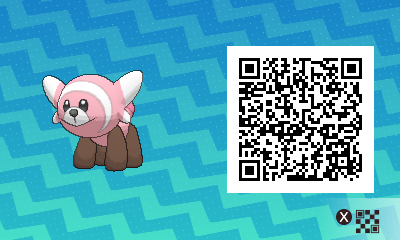 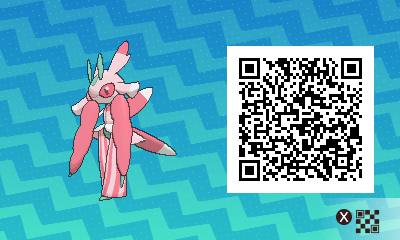 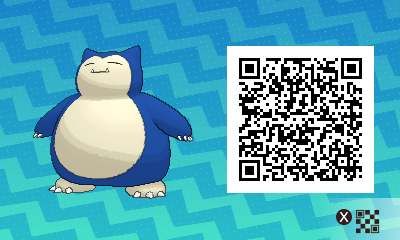 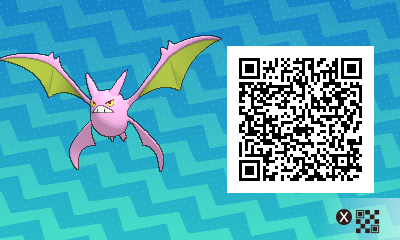 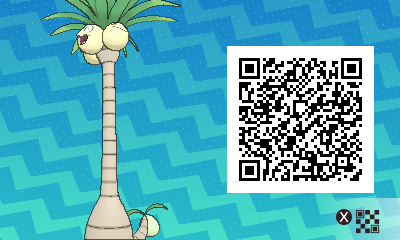 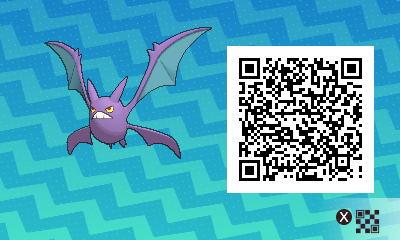 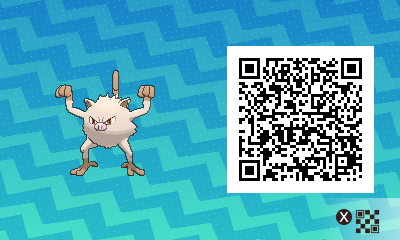 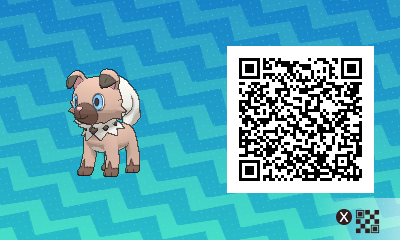 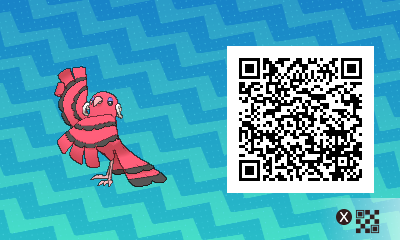 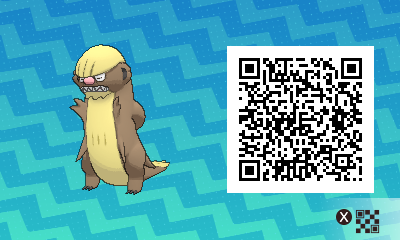 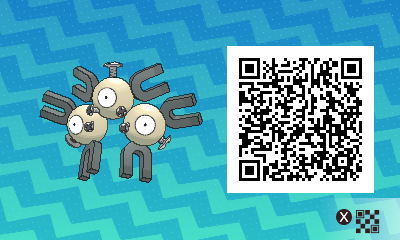 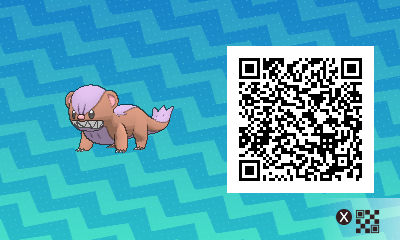 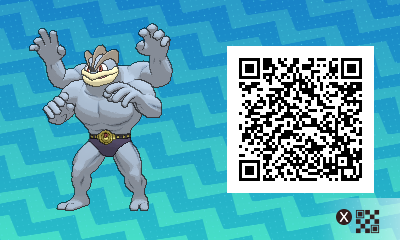 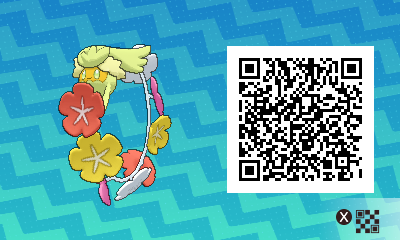 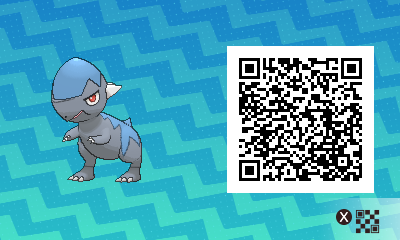 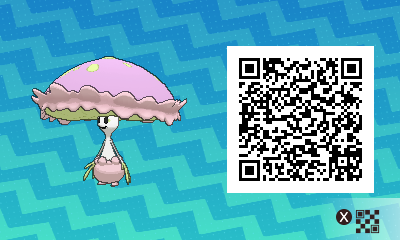 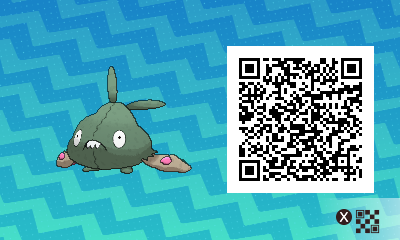 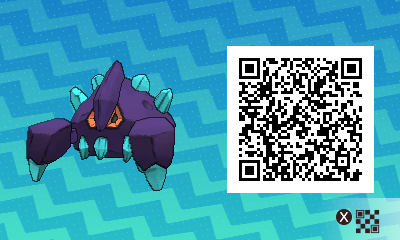 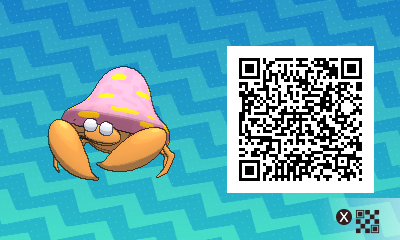 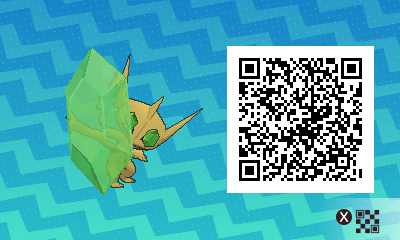 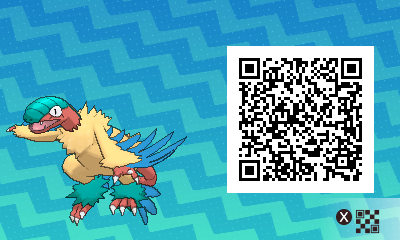 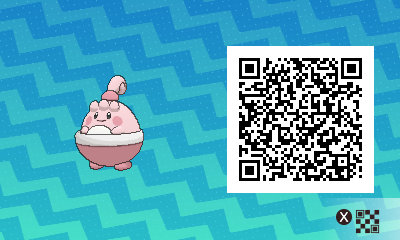 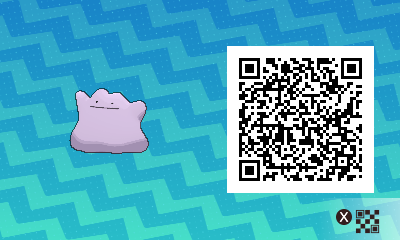 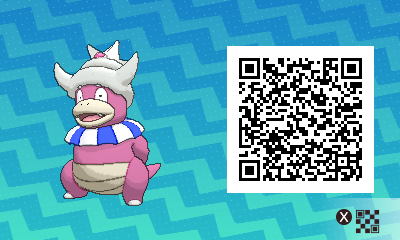 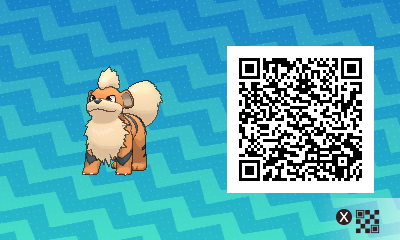 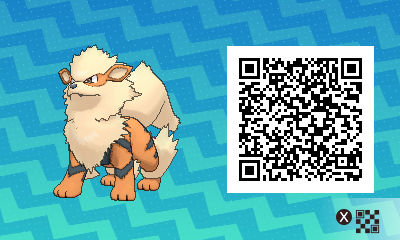 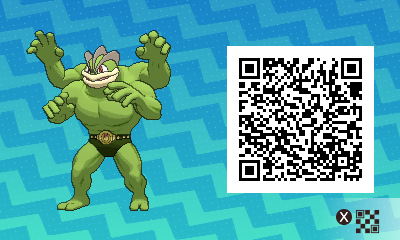 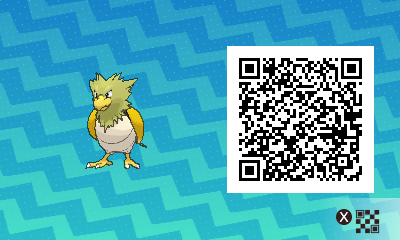 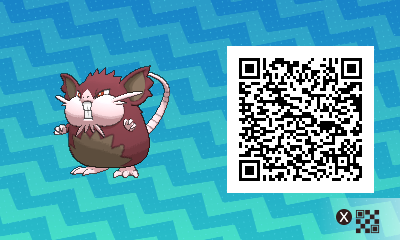 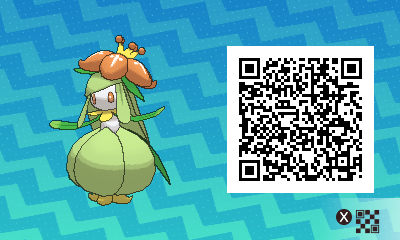 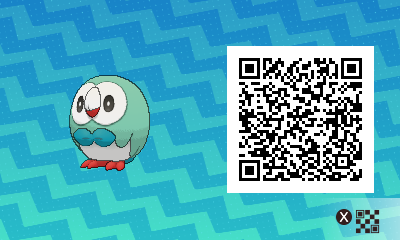 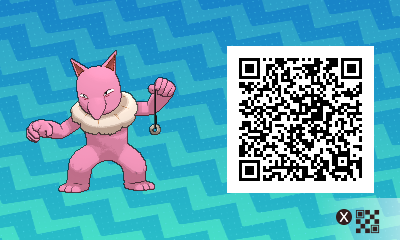 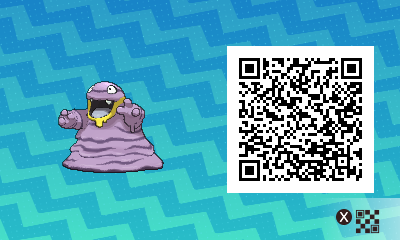 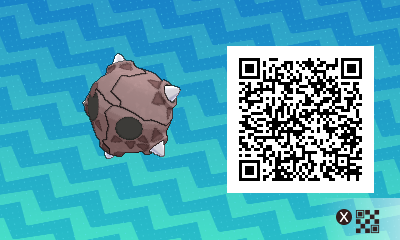 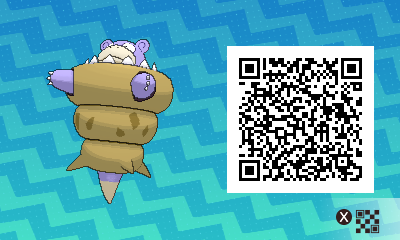 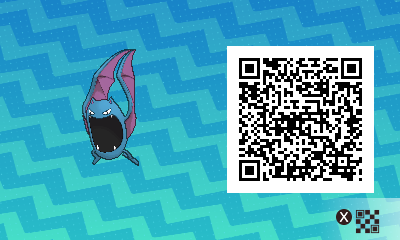 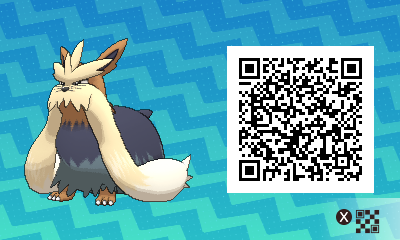 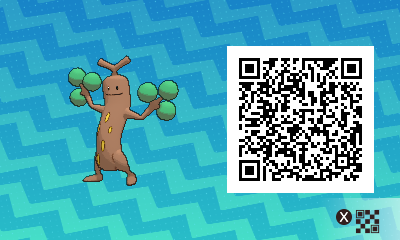 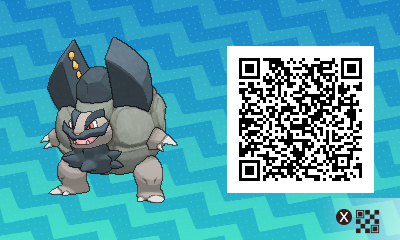 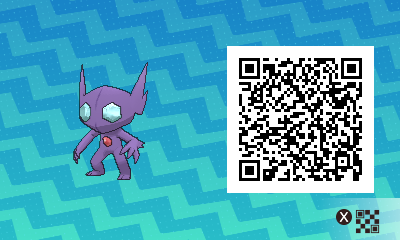 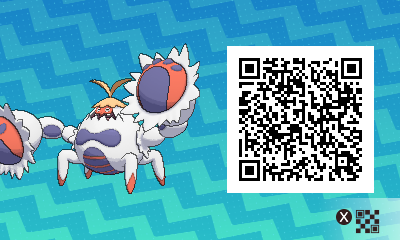 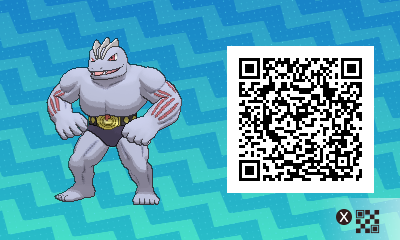 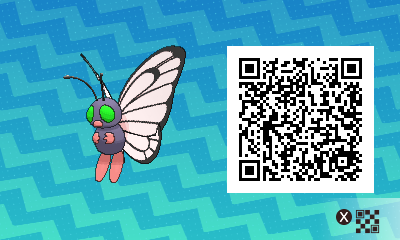 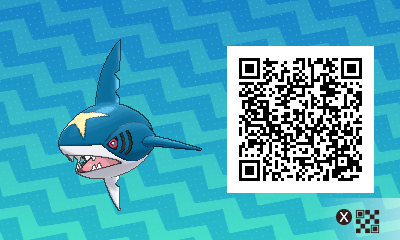 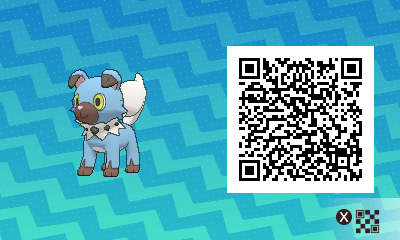 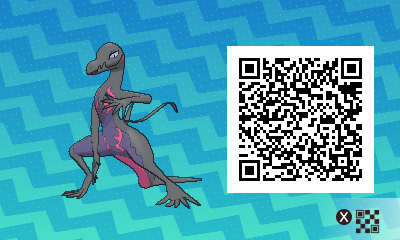 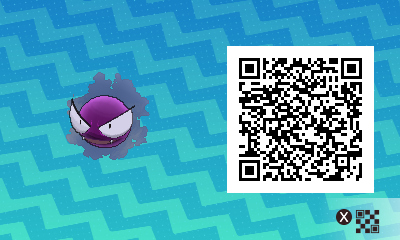 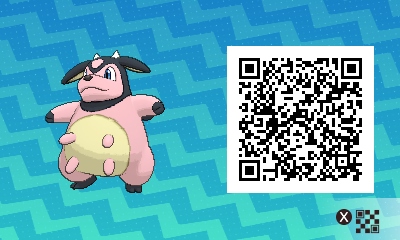 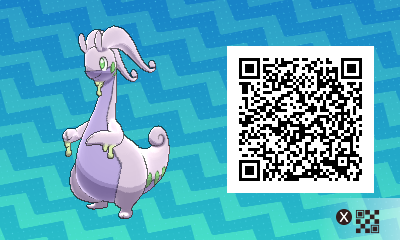 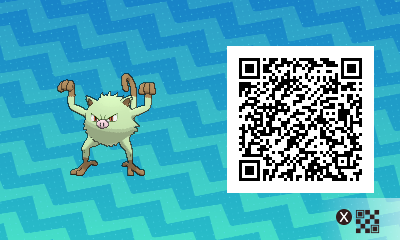 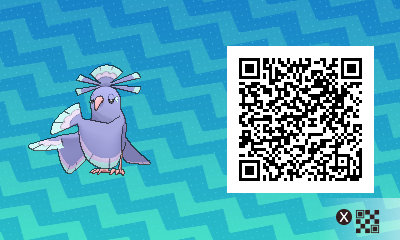 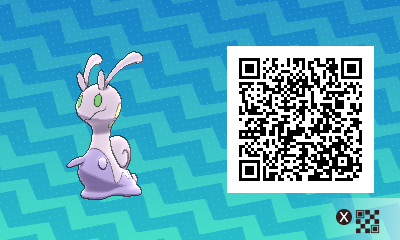 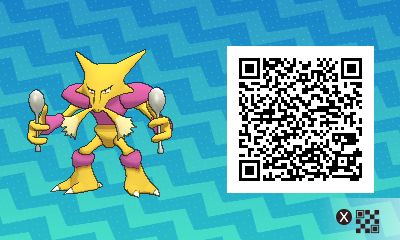 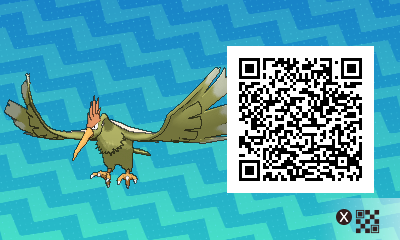 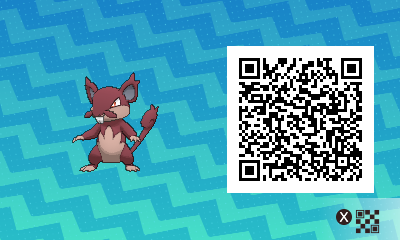 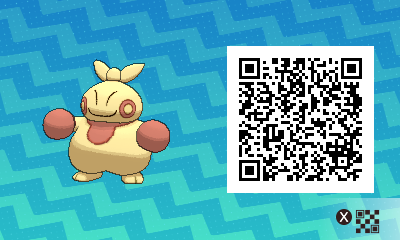 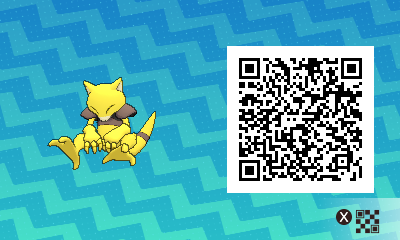 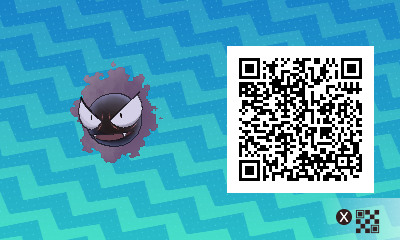 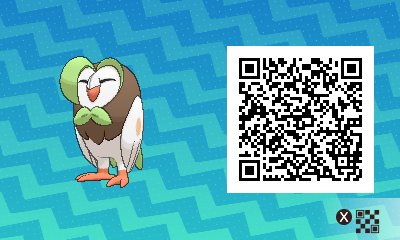 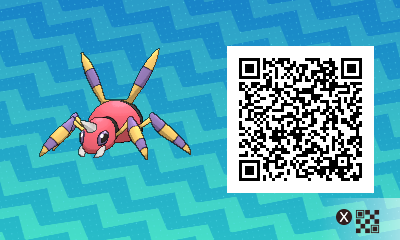 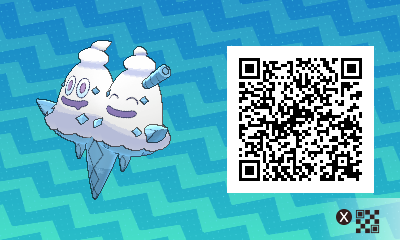 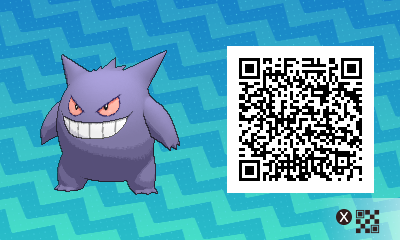 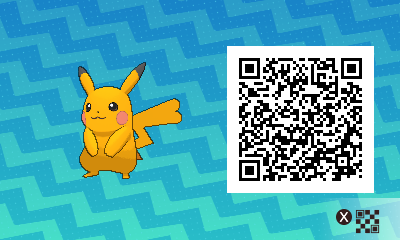 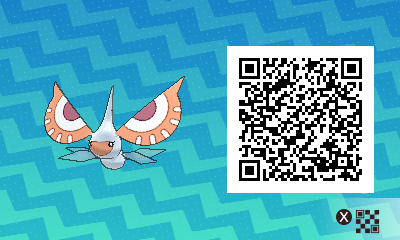 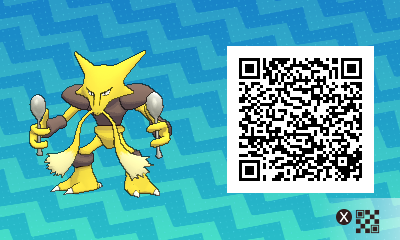 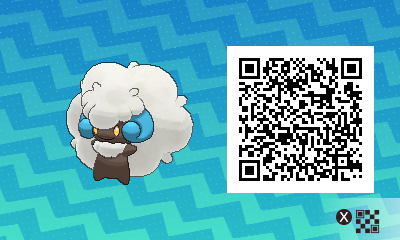 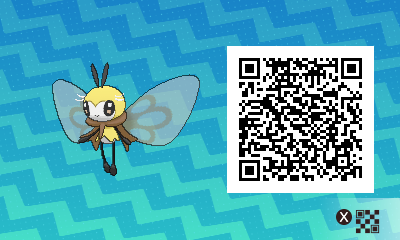 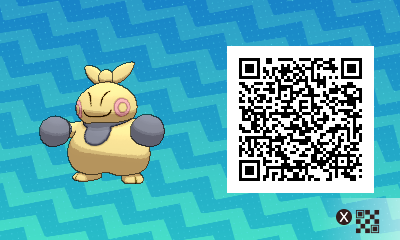 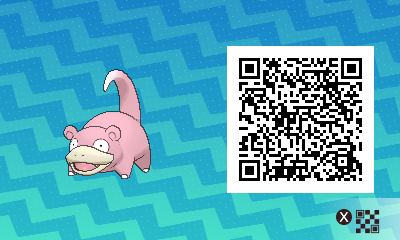 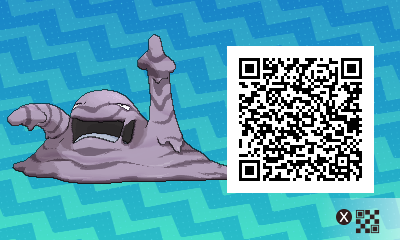 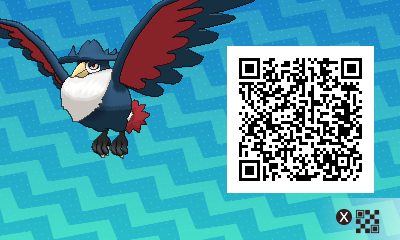 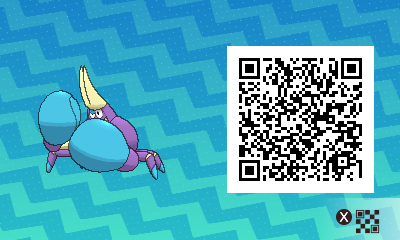 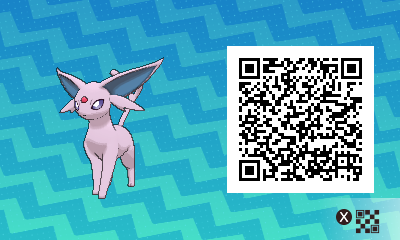 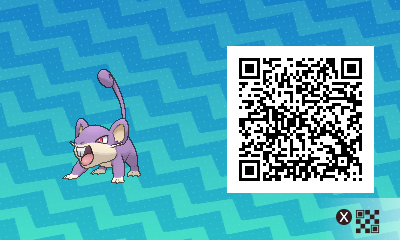 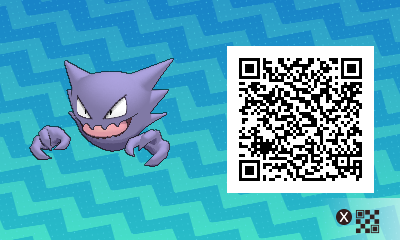 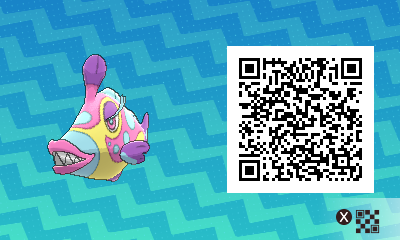 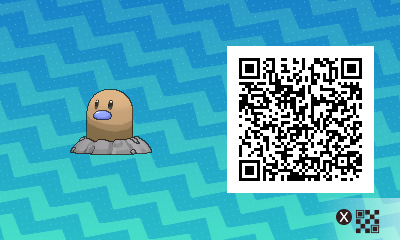 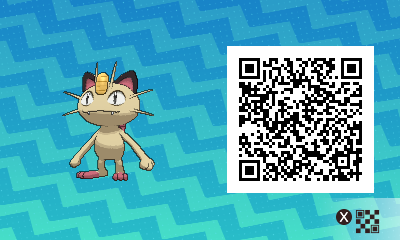 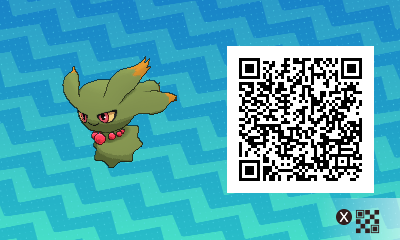 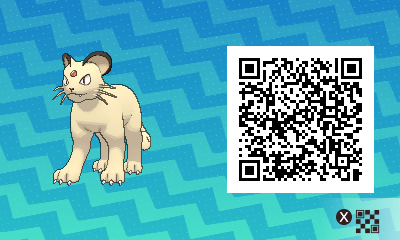 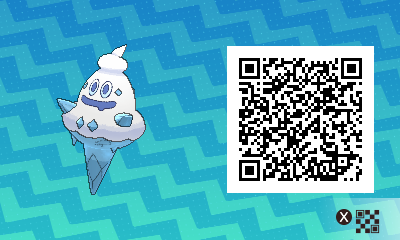 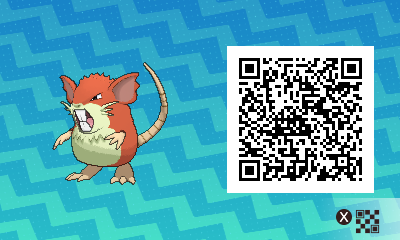 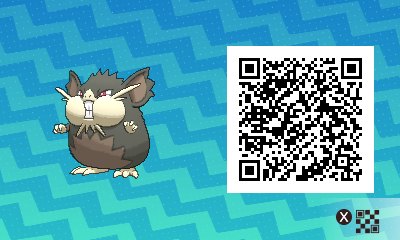 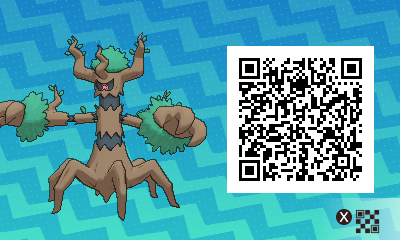 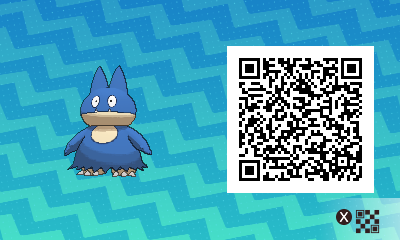 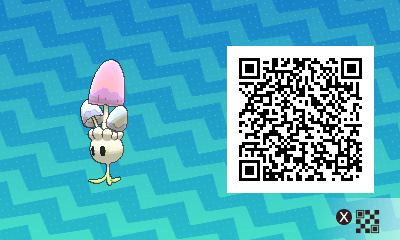 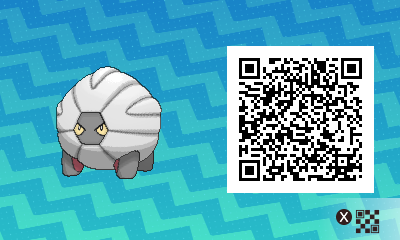 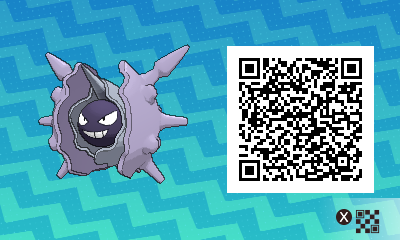 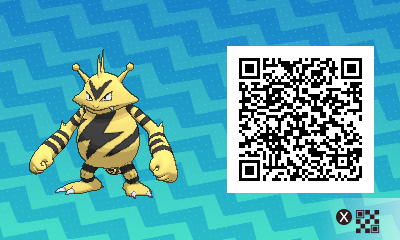 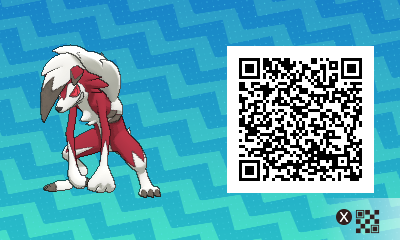 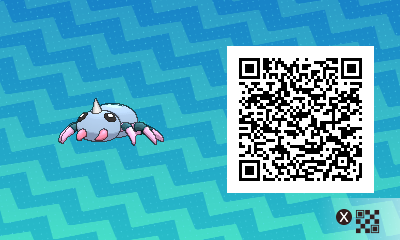 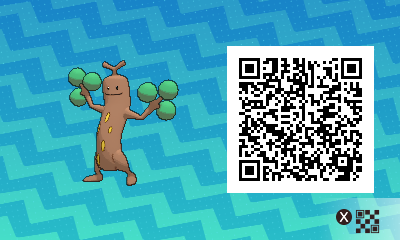 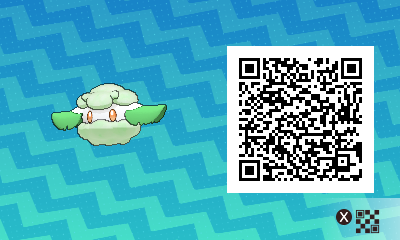 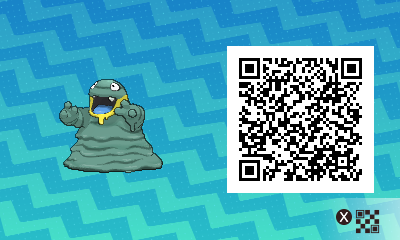 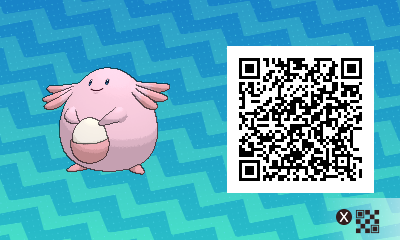 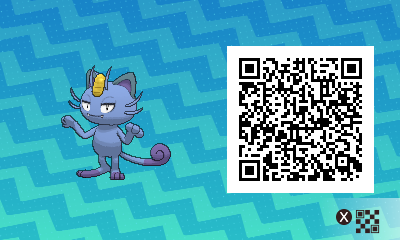 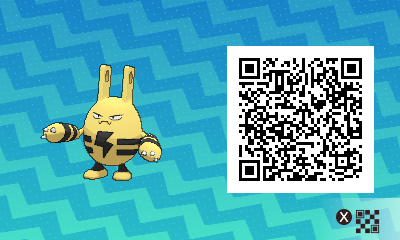 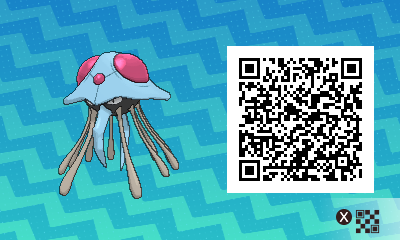 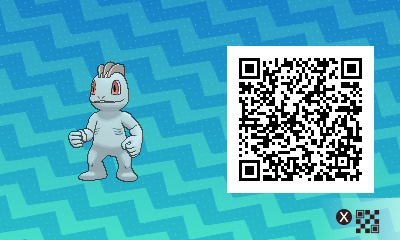 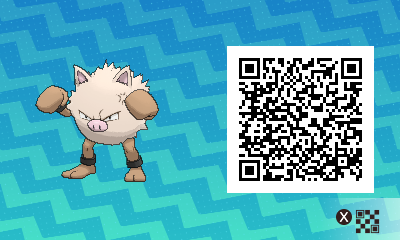 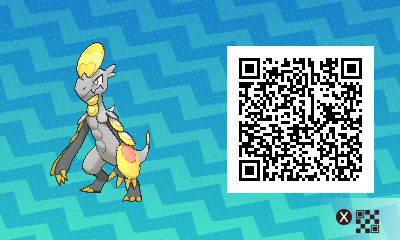 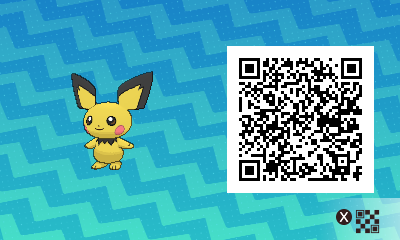 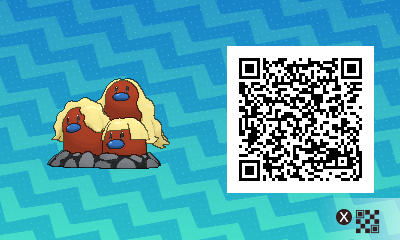 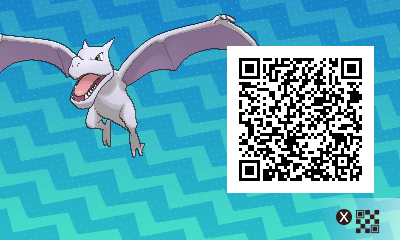 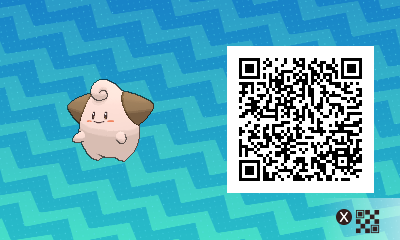 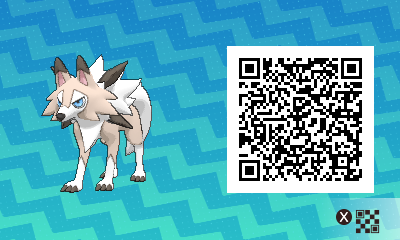 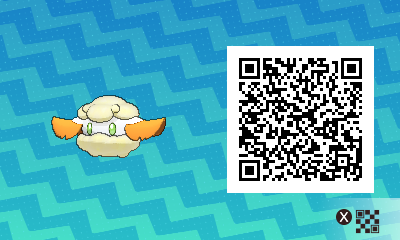 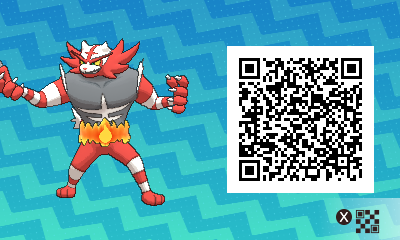 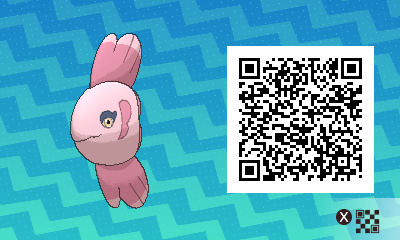 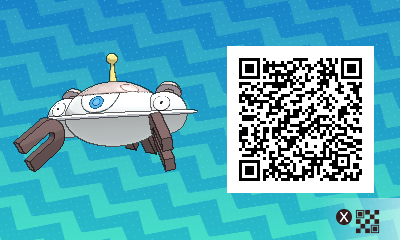 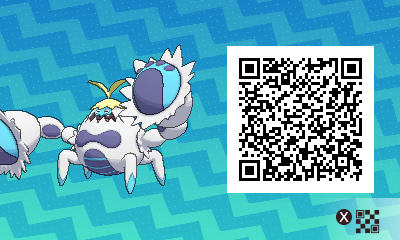 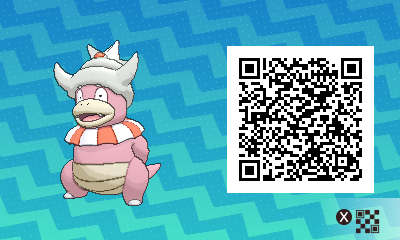 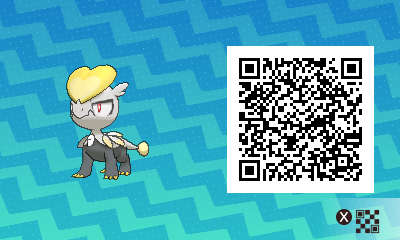 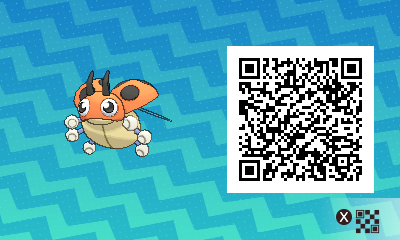 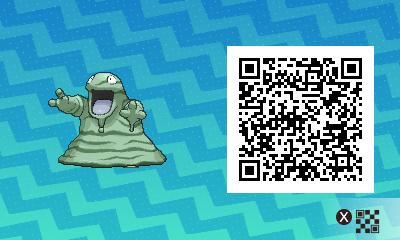 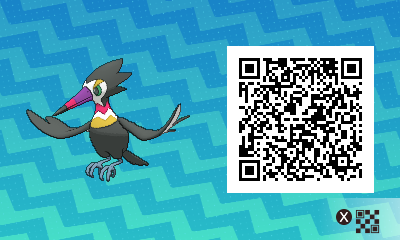 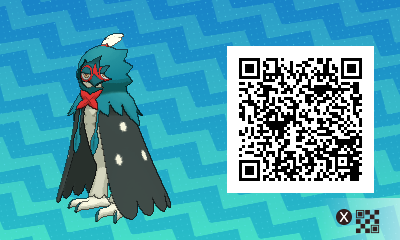 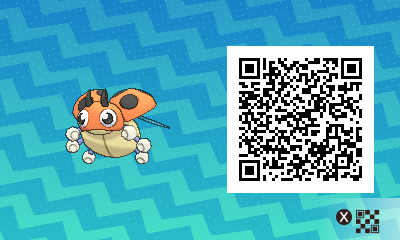 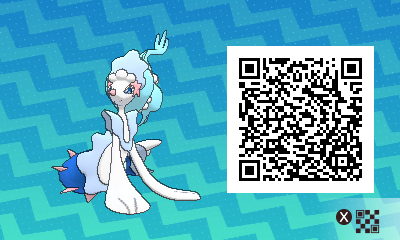 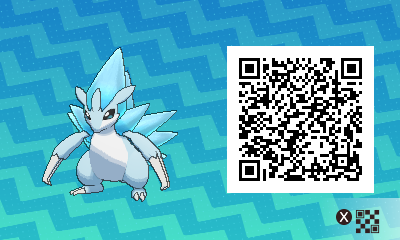 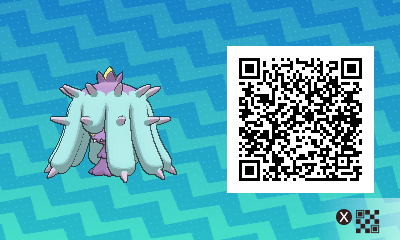 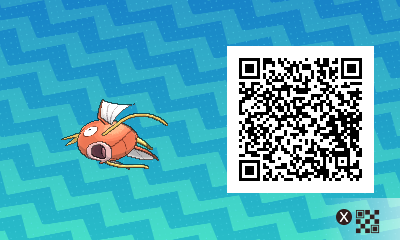 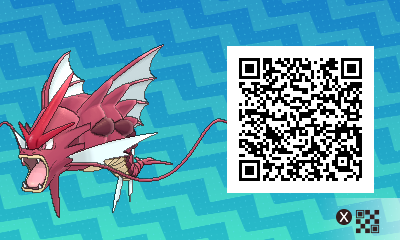 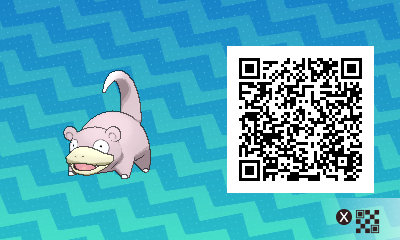 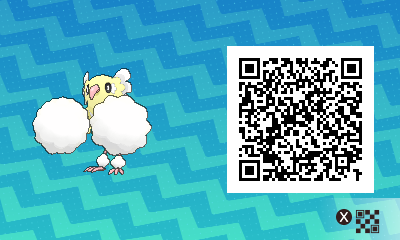 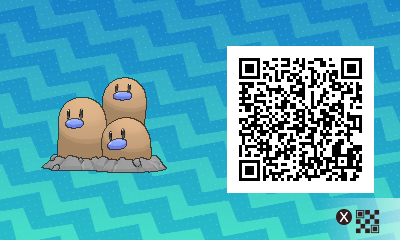 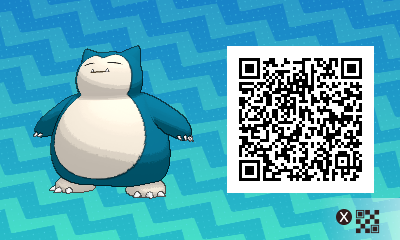 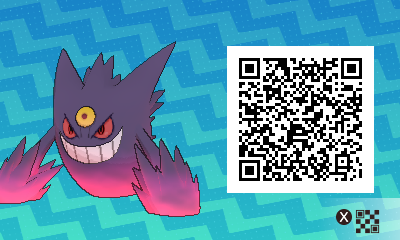 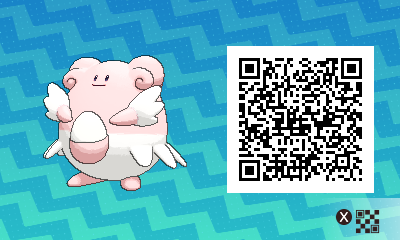 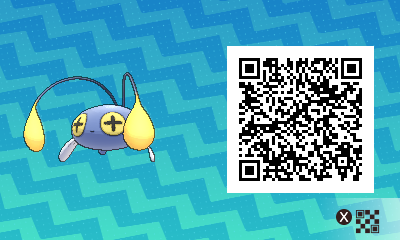 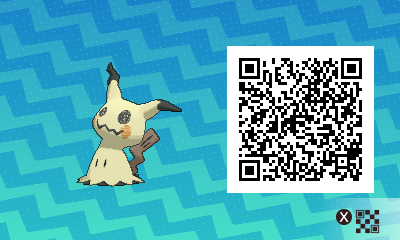 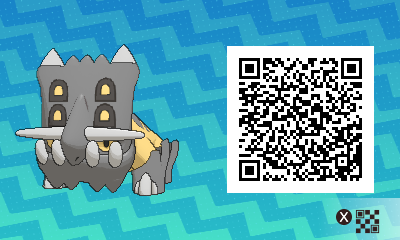 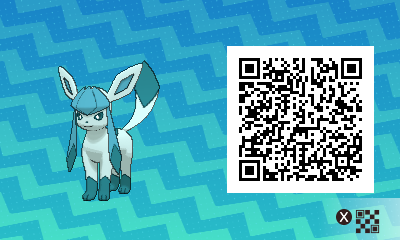 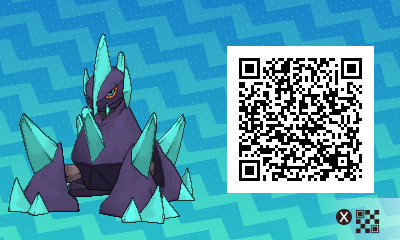 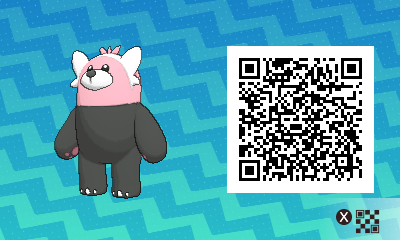 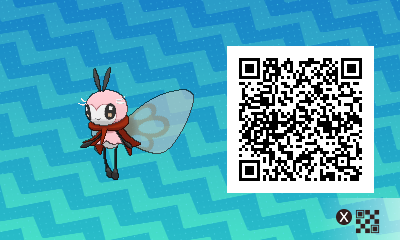 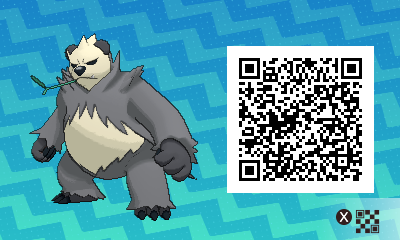 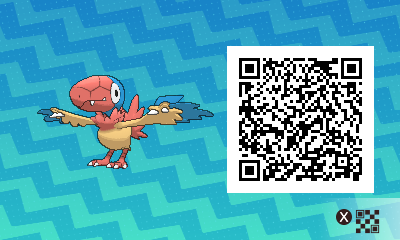 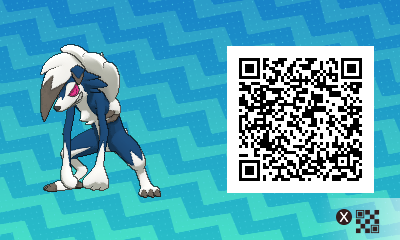 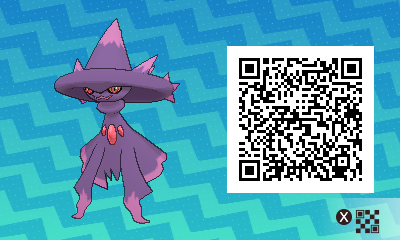 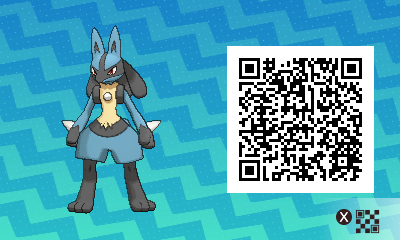 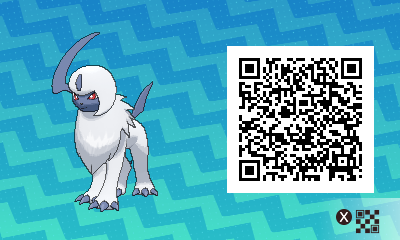 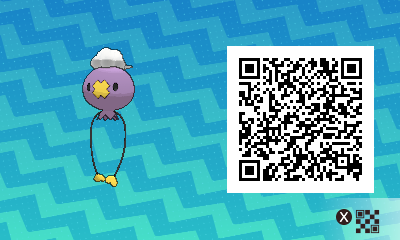 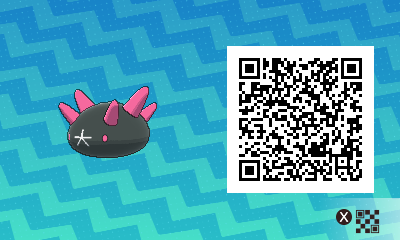 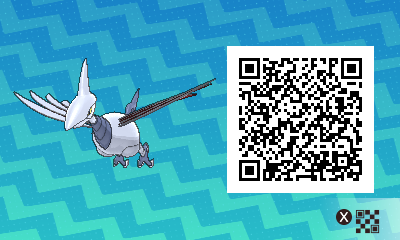 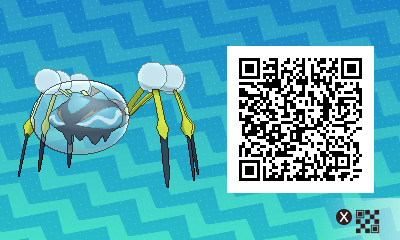 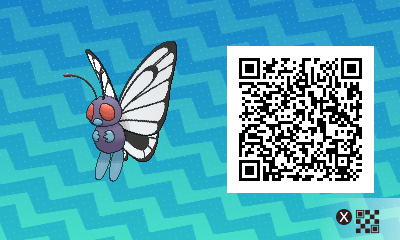 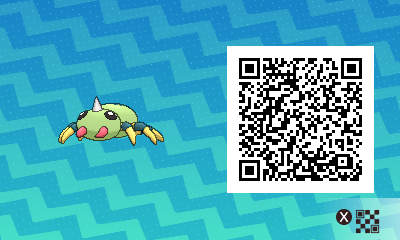 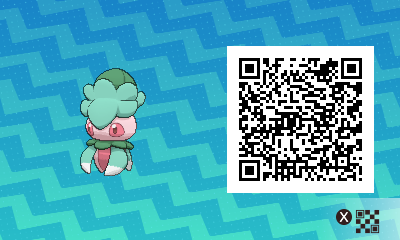 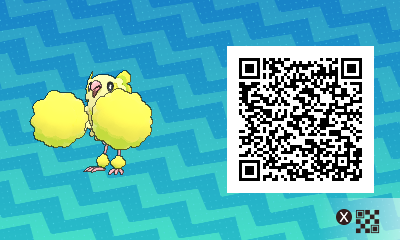 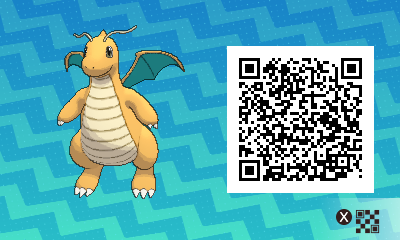 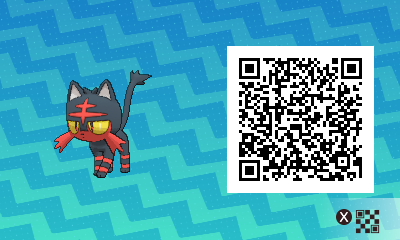 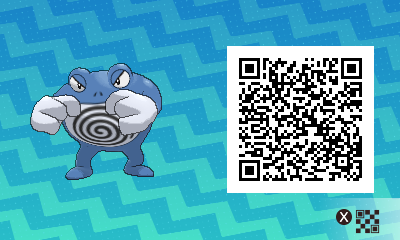 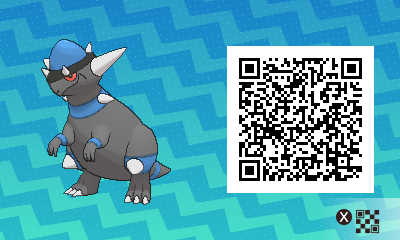 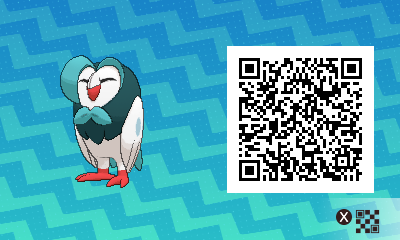 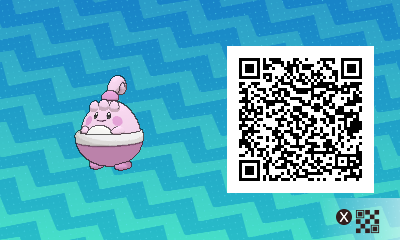 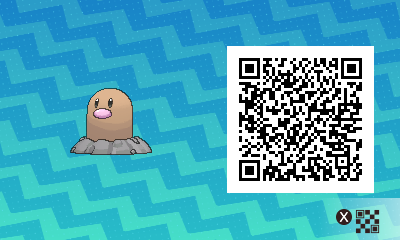 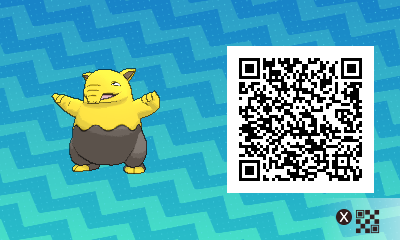 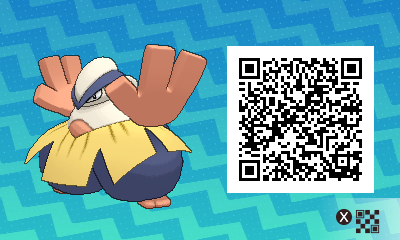 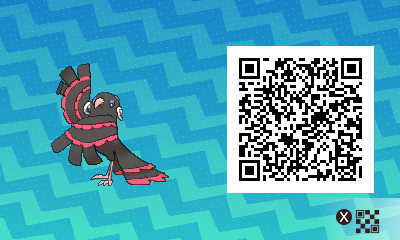 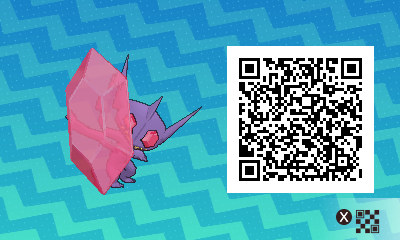 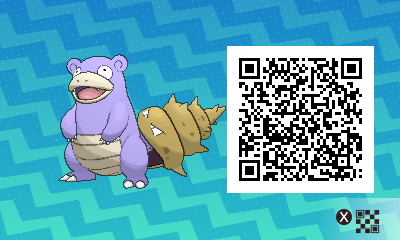 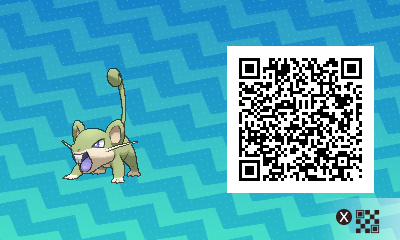 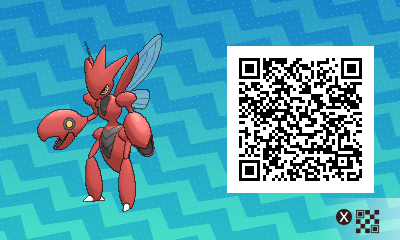 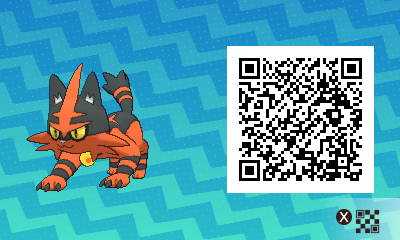 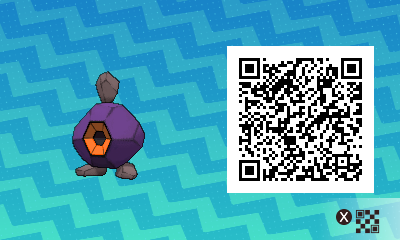 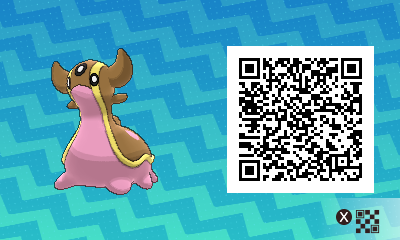 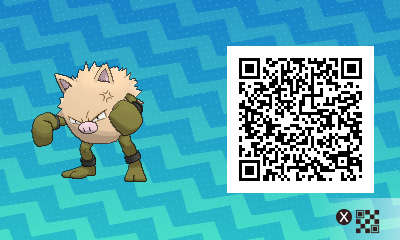 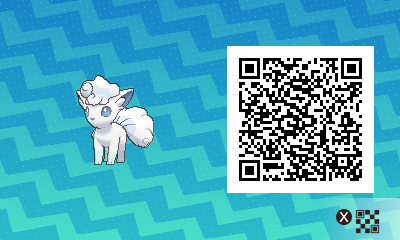 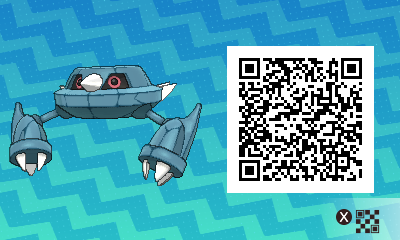 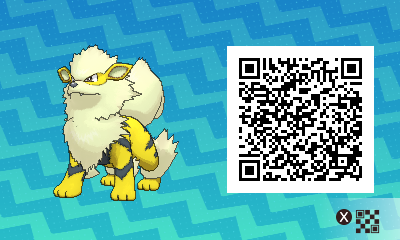 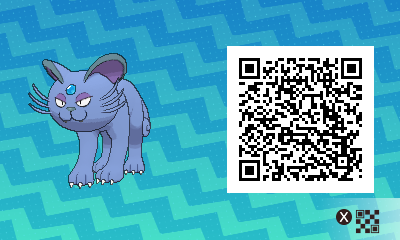 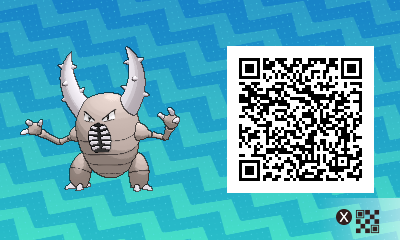 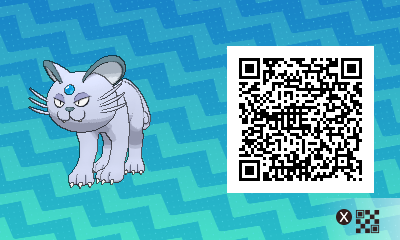 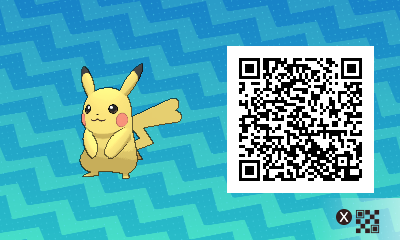 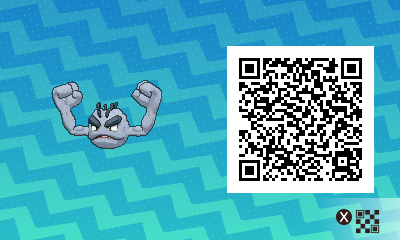 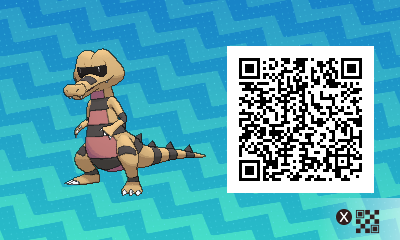 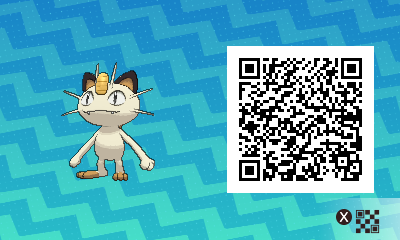 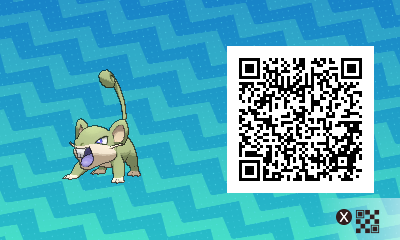 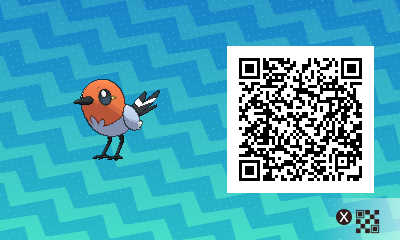 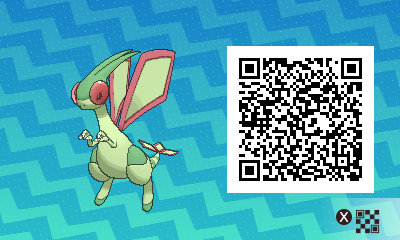 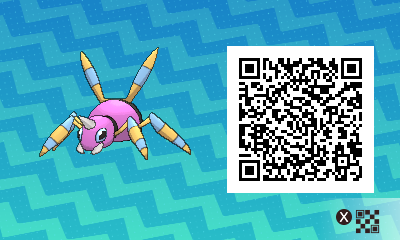 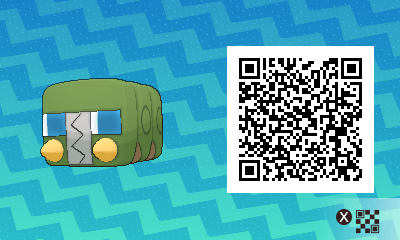 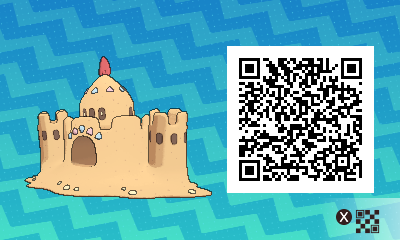 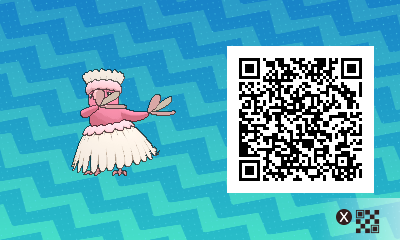 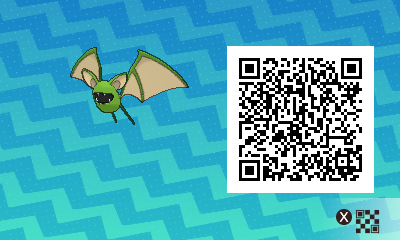 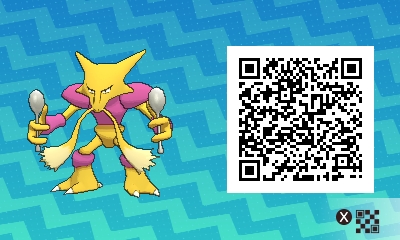 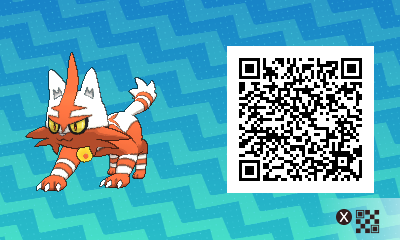 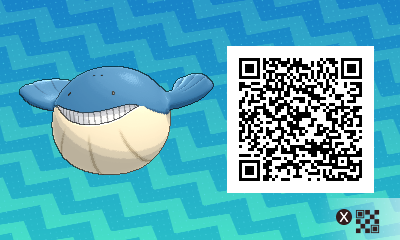 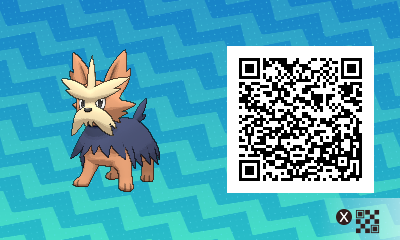 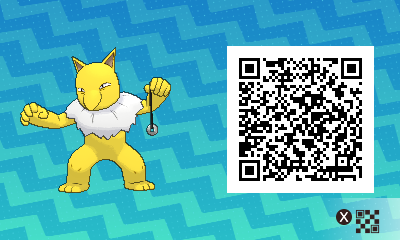 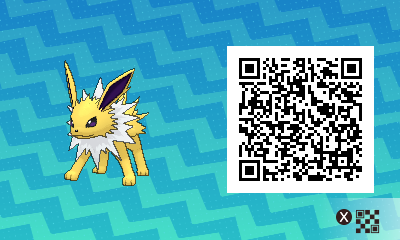 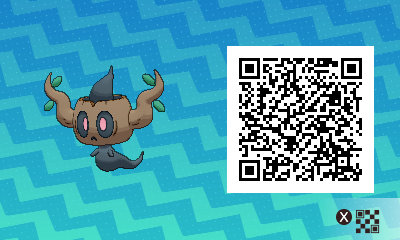 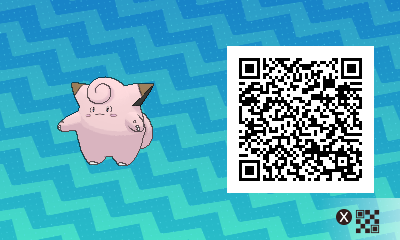 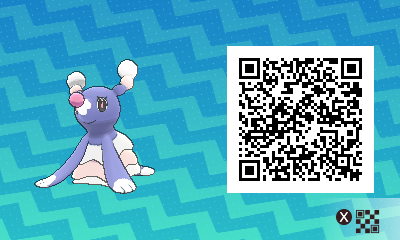 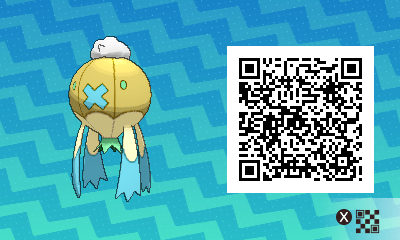 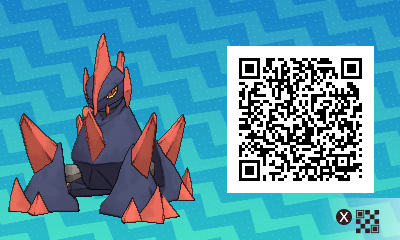 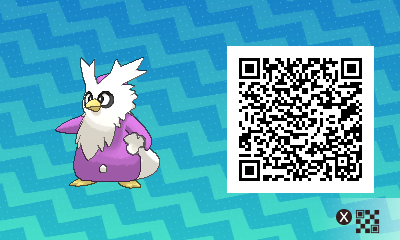 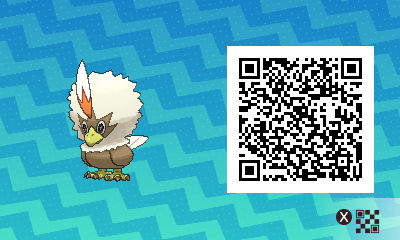 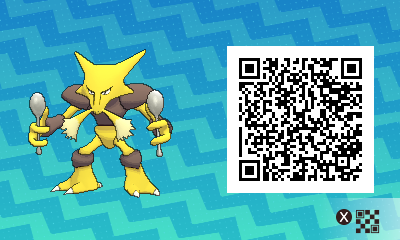 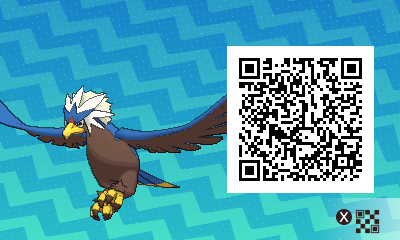 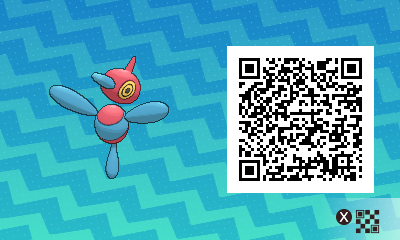 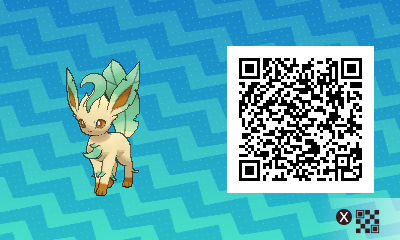 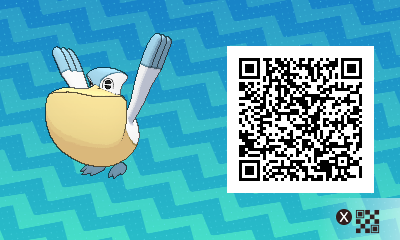 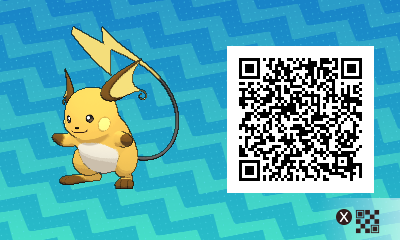 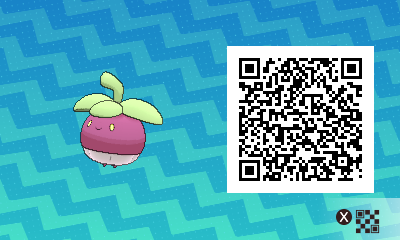 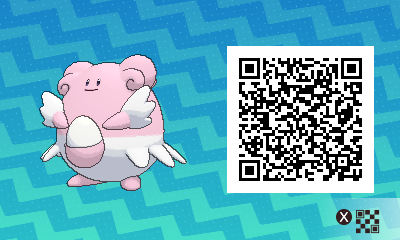 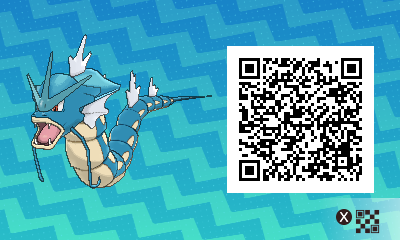 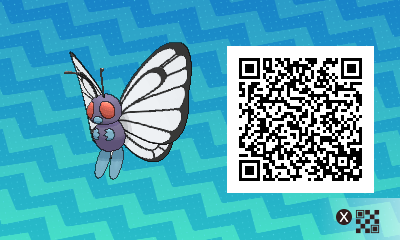 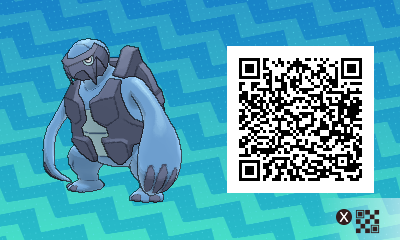 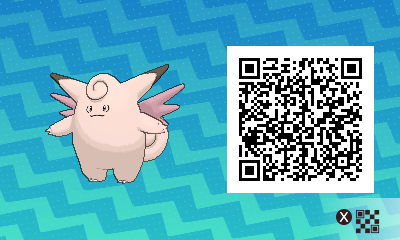 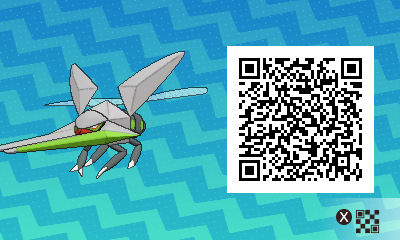 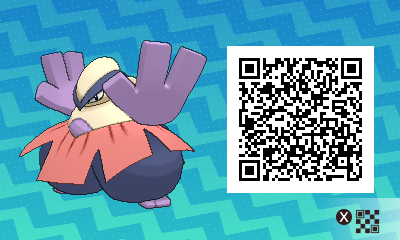 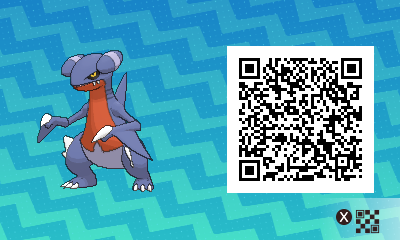 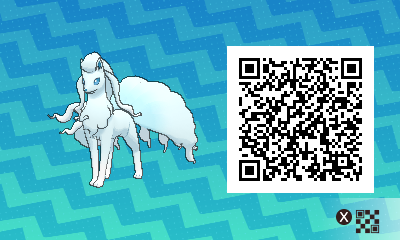 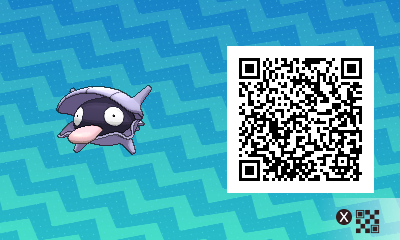 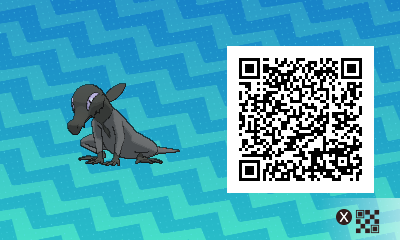 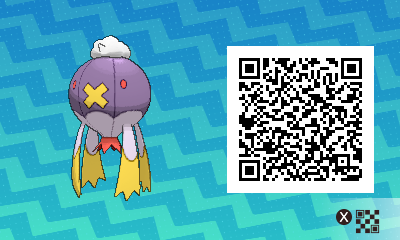 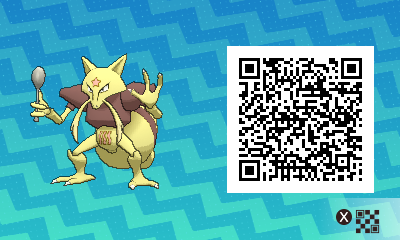 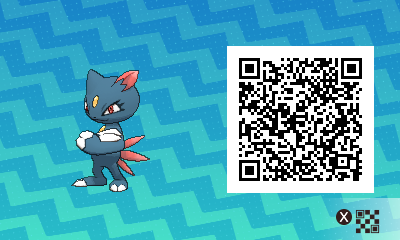 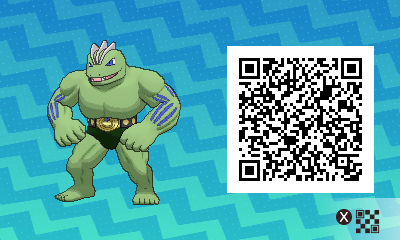 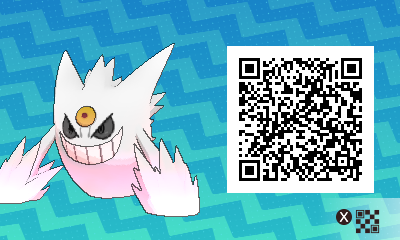 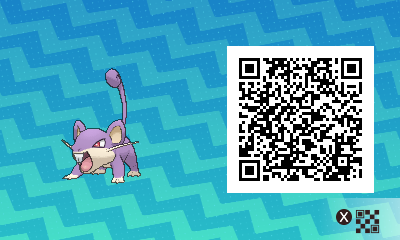 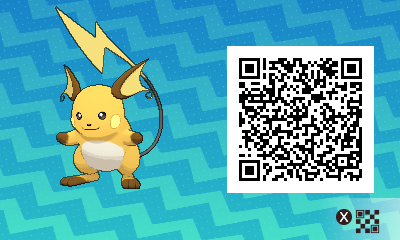 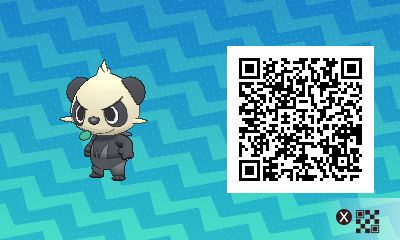 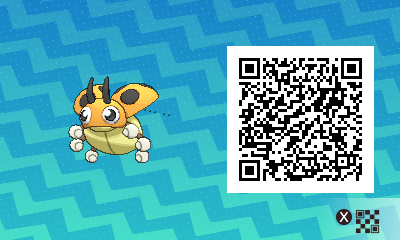 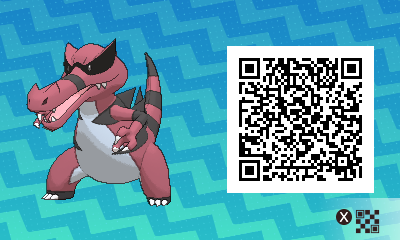 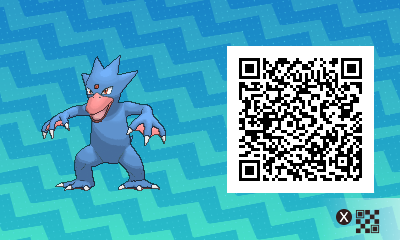 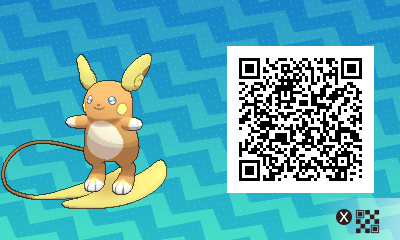 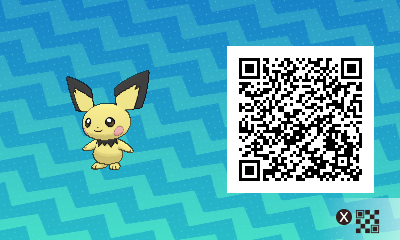 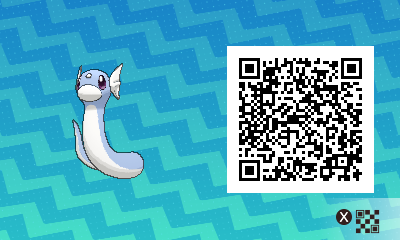 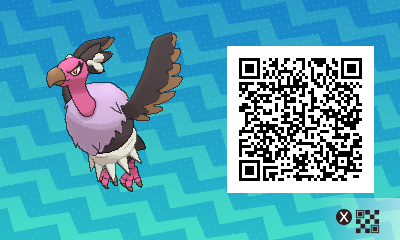 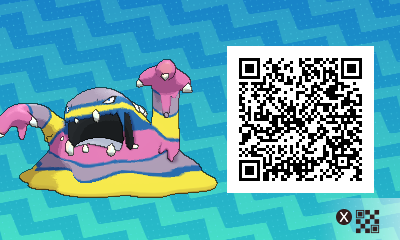 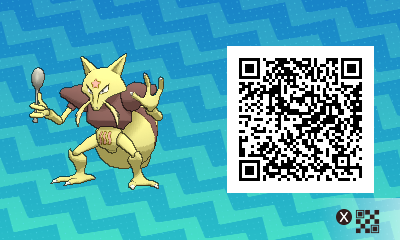 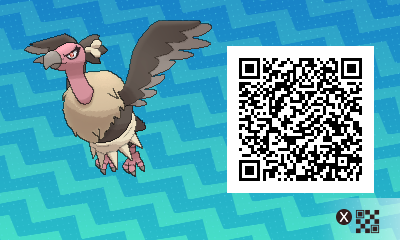 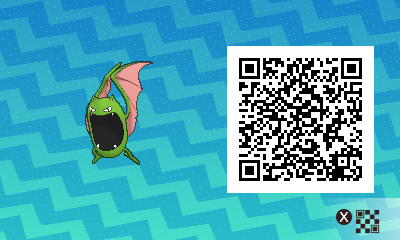 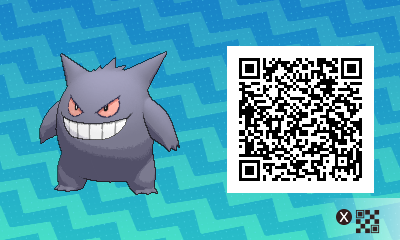 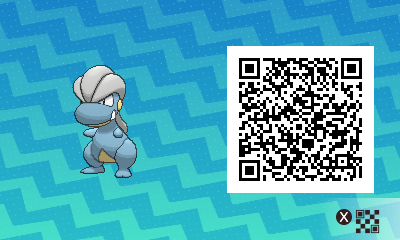 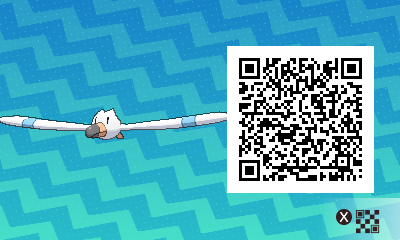 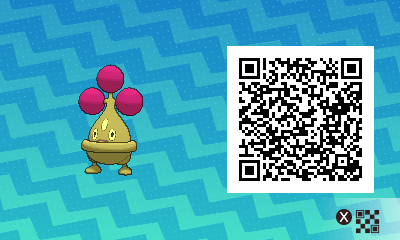 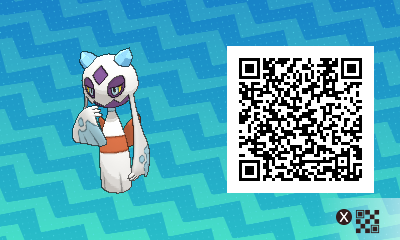 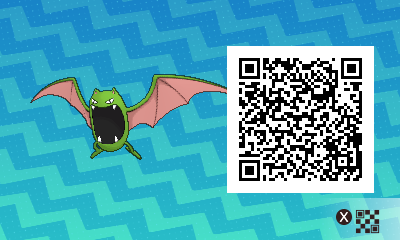 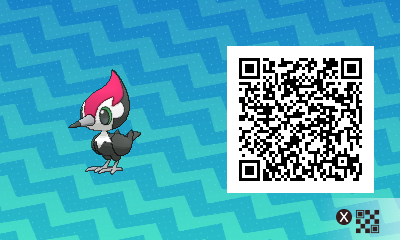 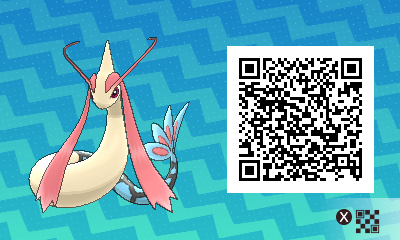 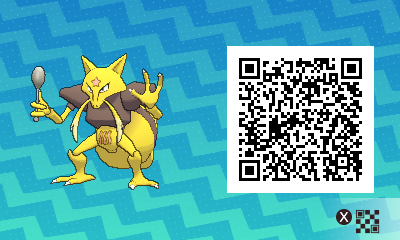 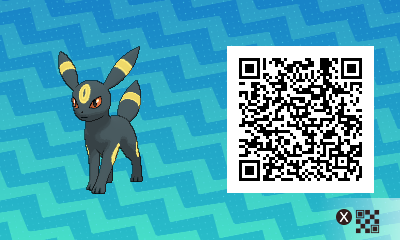 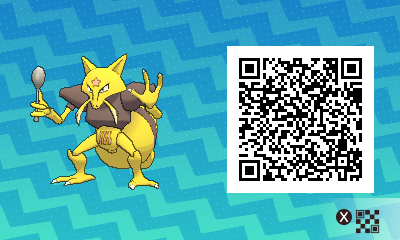 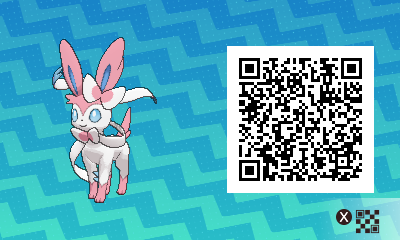 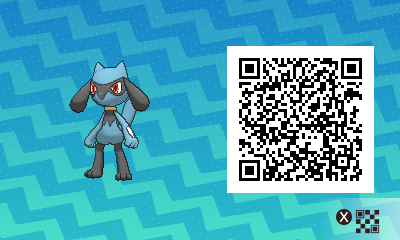 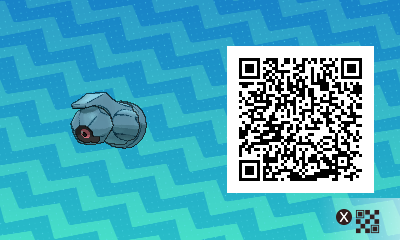 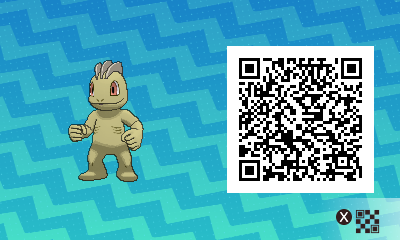 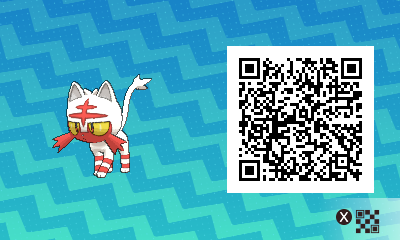 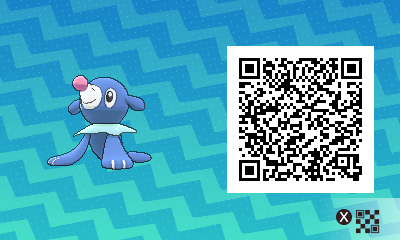 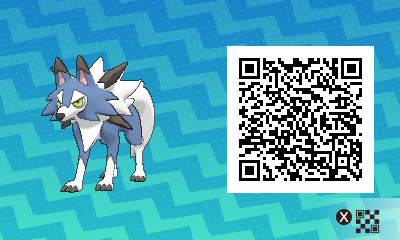 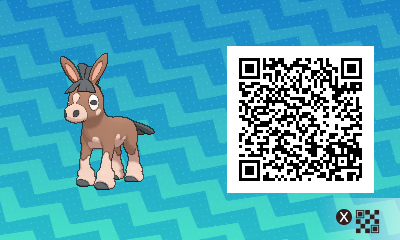 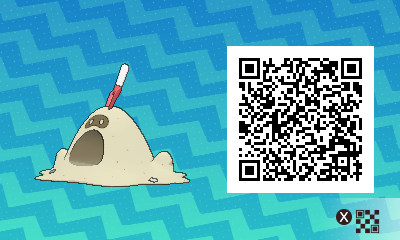 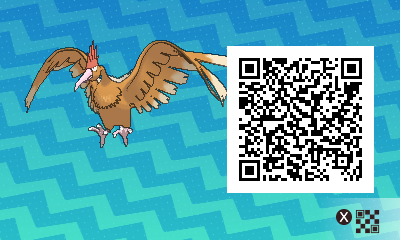 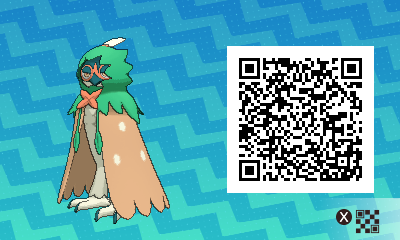 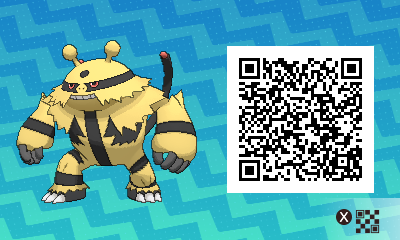 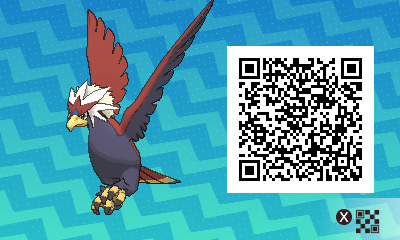 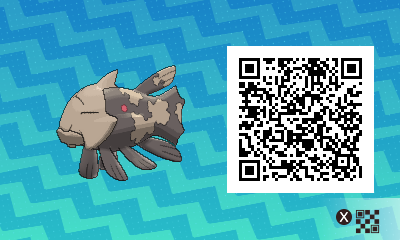 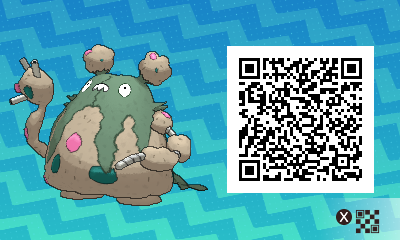 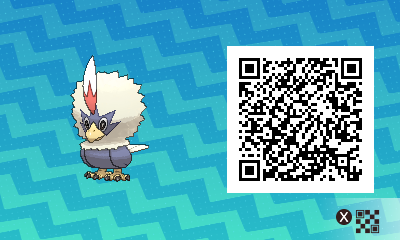 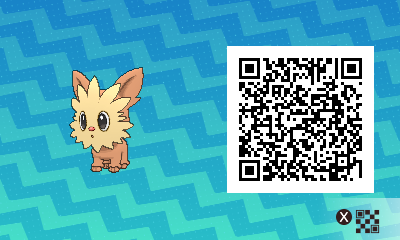 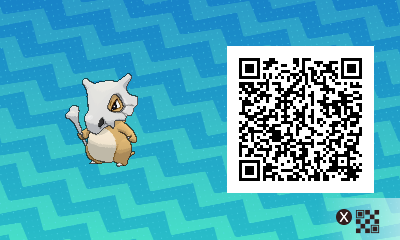 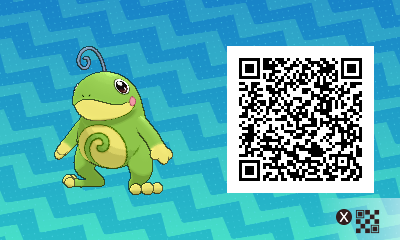 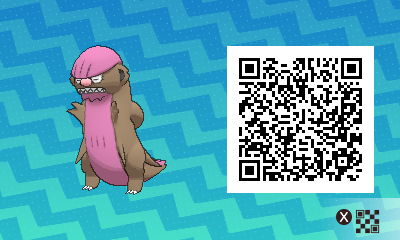 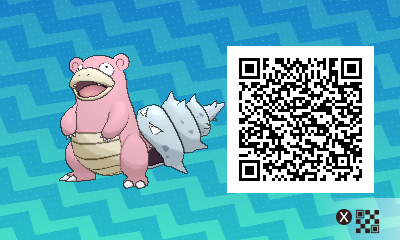 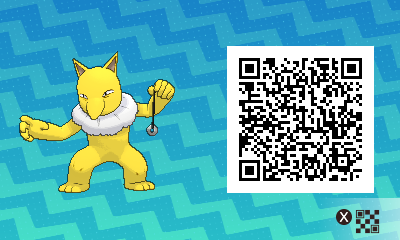 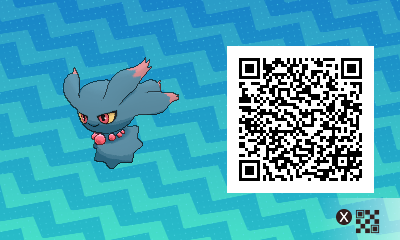 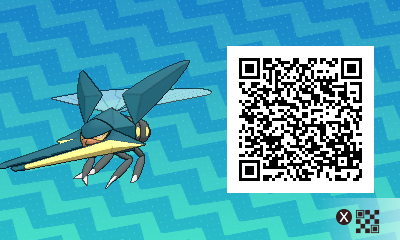 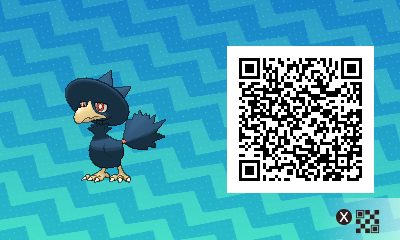 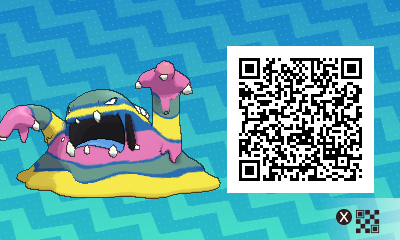 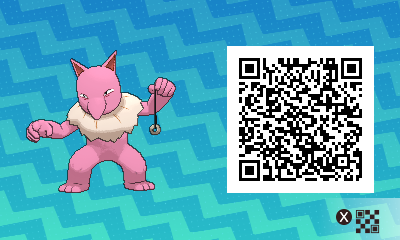 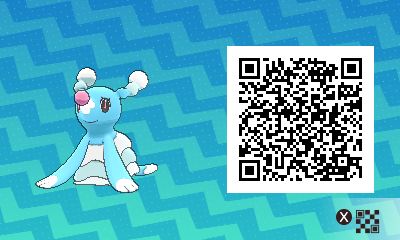 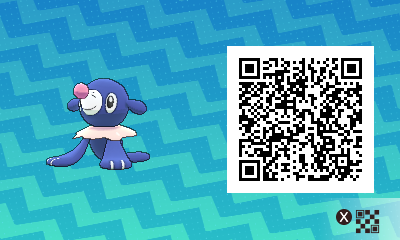 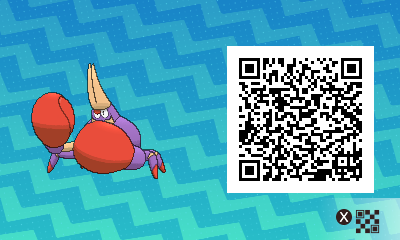 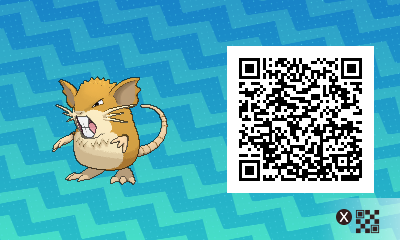 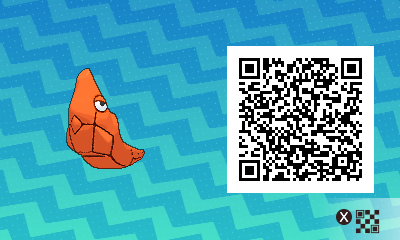 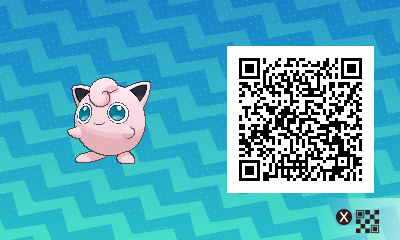 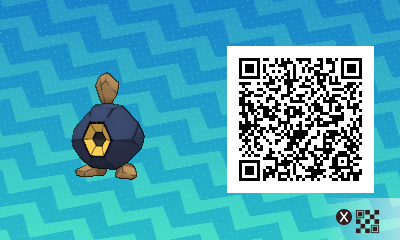 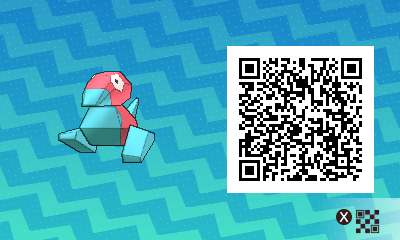 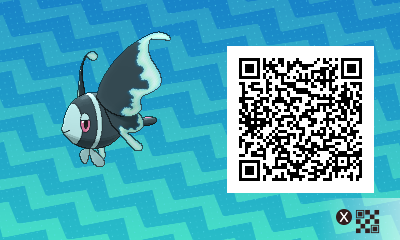 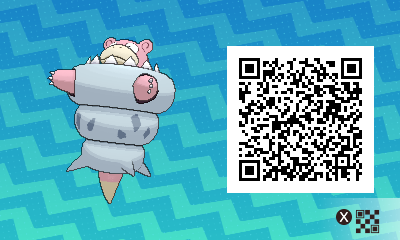 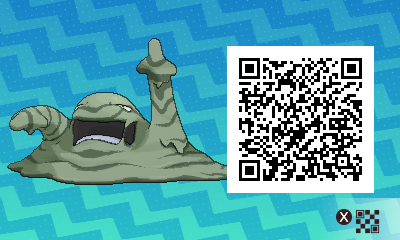 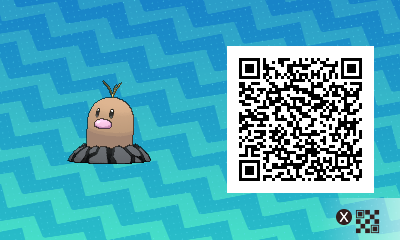 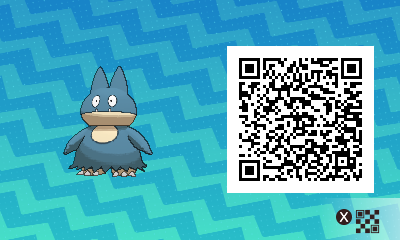 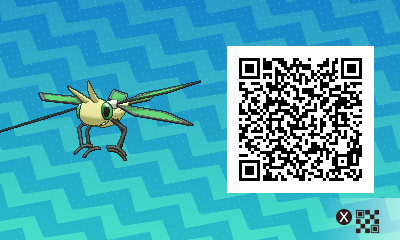 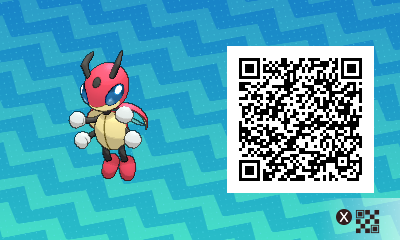 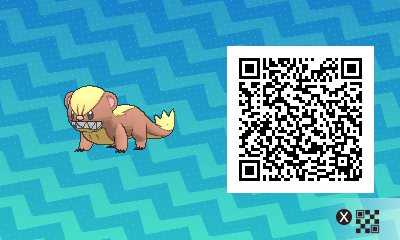 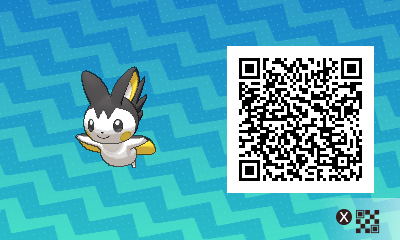 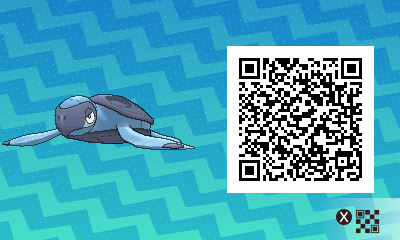 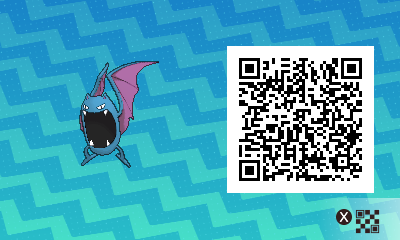 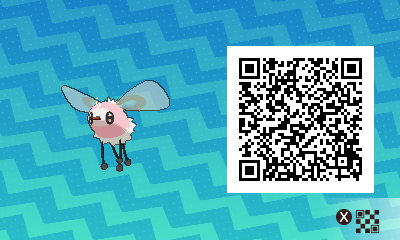 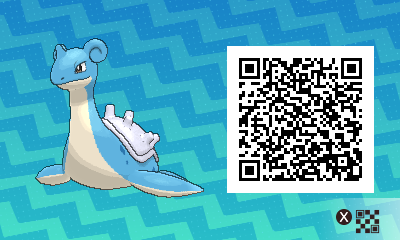 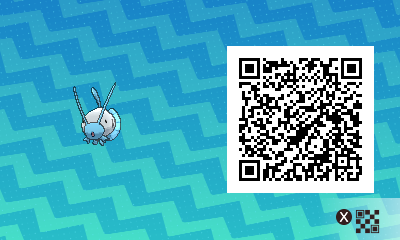 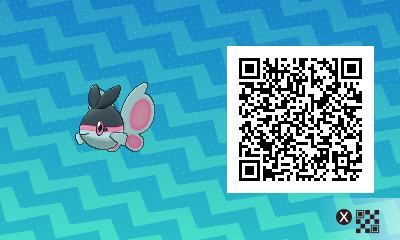 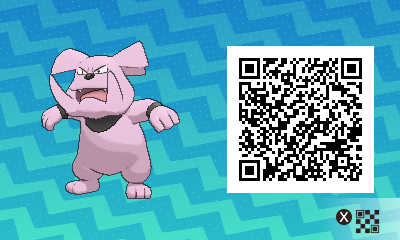 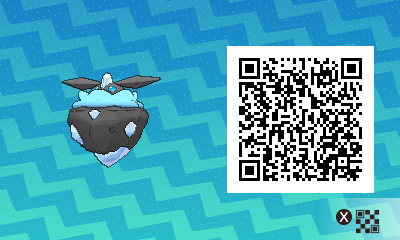 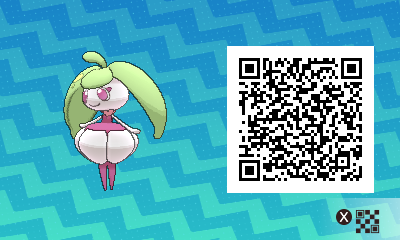 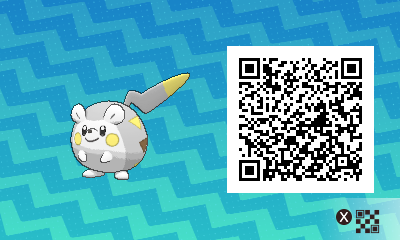 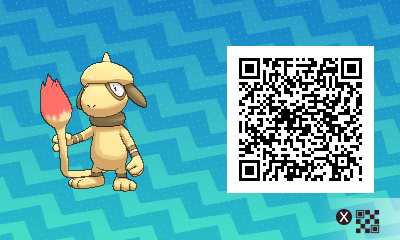 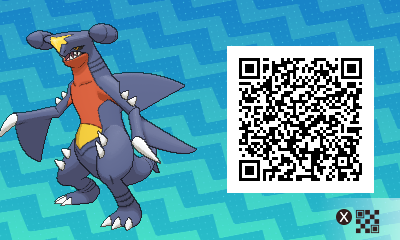 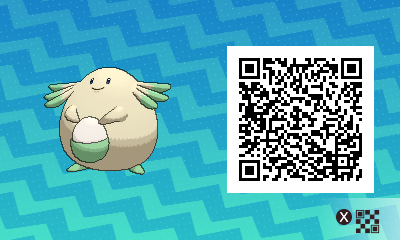 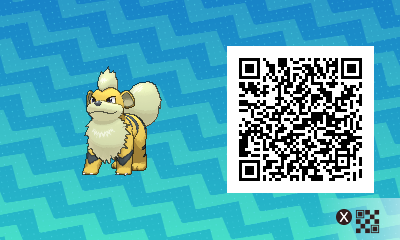 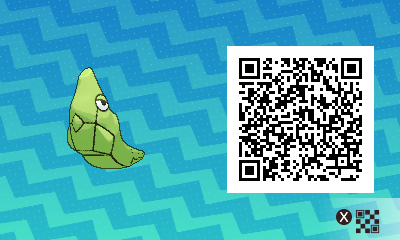 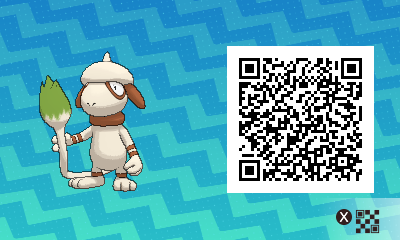 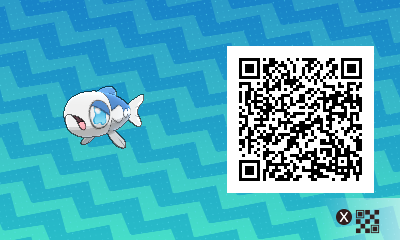 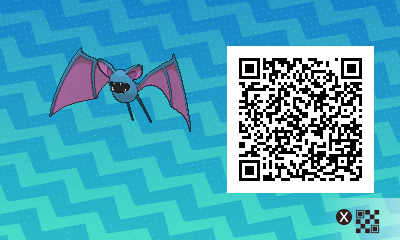 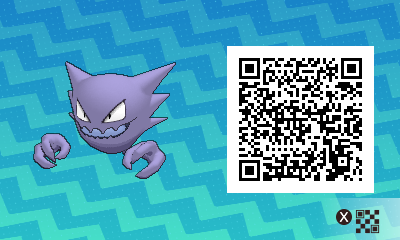 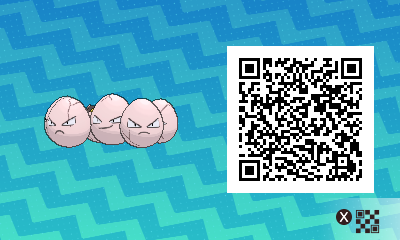 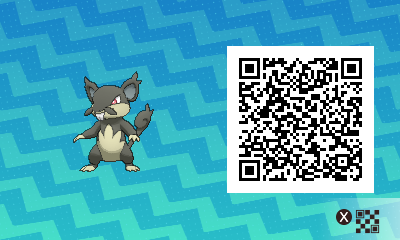 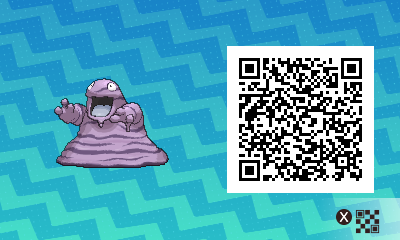 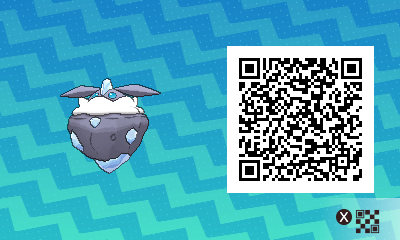 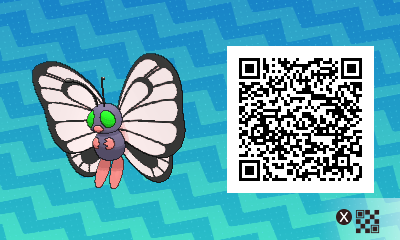 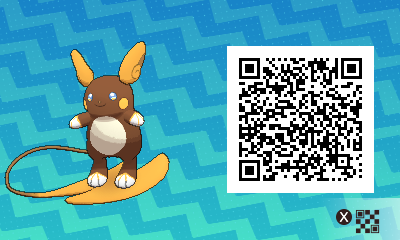 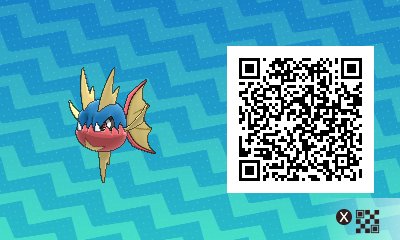 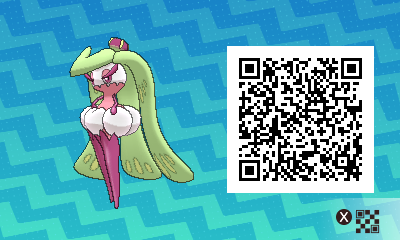 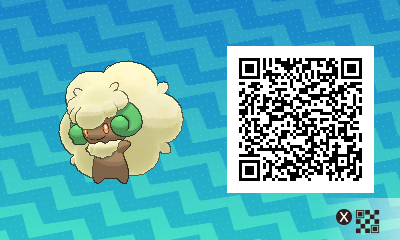 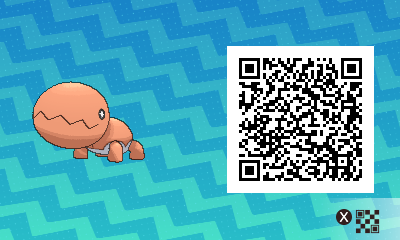 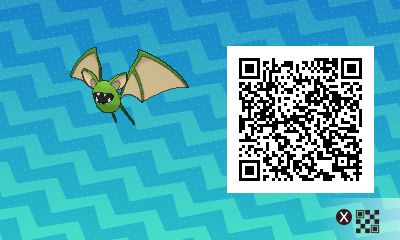 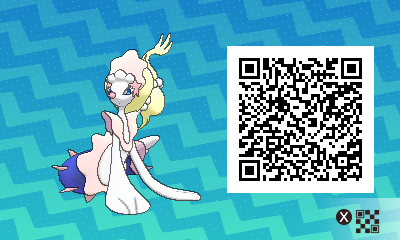 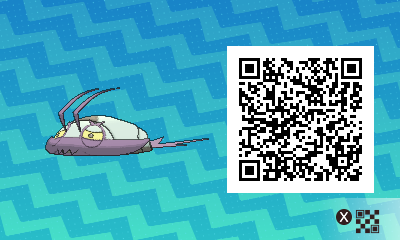 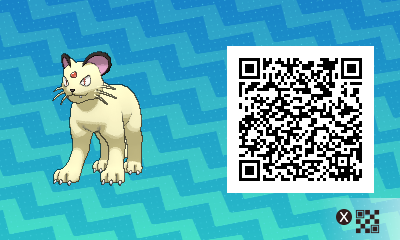 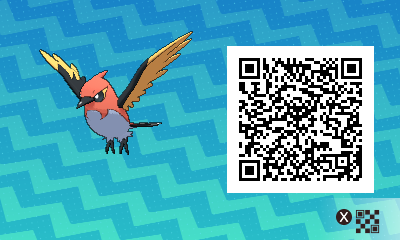 To find out more about QR codes, make sure to check out Serebii‘s page about them! 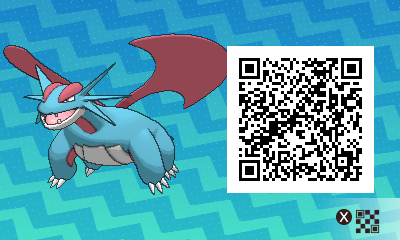 NB: some Pokémon do not have a QR codes, such as Legendary/Mythical Pokémon. 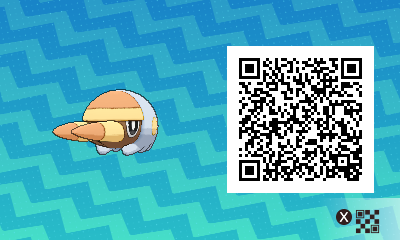 Also, the QR codes below are only for Pokémon that can be caught in Pokémon Sun and Moon, and the remaining ones will be added as soon as they’re available (most likely when the Pokémon Bank will be updated, in January). 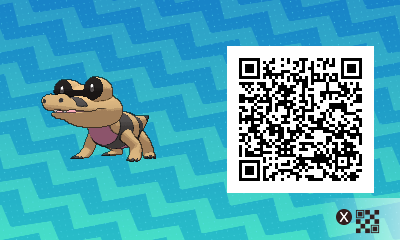 Here’s some special QR Codes: they don’t unlock anything, but they allow you to get twice the amount of Scan Points as regular QR Codes… great for the second Global Mission! 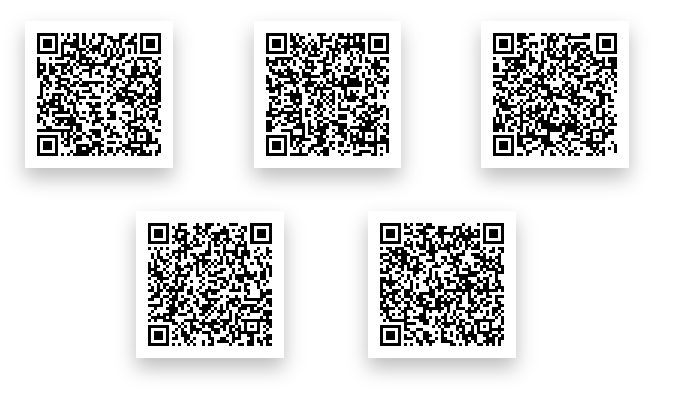 Since most/all of those can only be used once, we cannot list the codes themselves, with the only exception being those for special distributions. 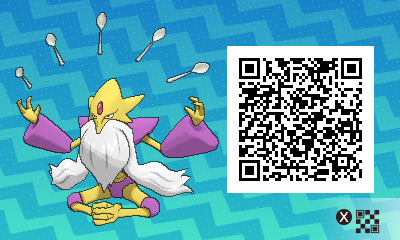 Watch as you receive your content. [Global] Ash Greninja (+ other bonuses) – Can be transferred from the special demo to the full game. 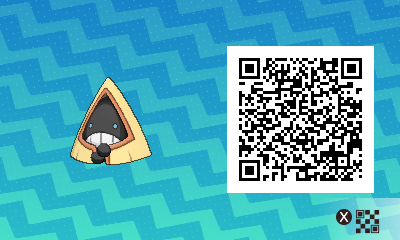 Can you teach me how to use these pokemon after you get them? 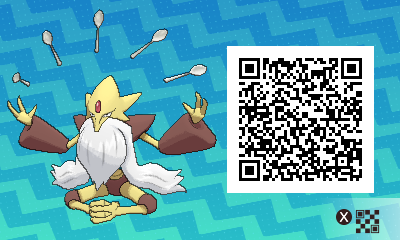 Sir, these are just used to fill the pokedex. 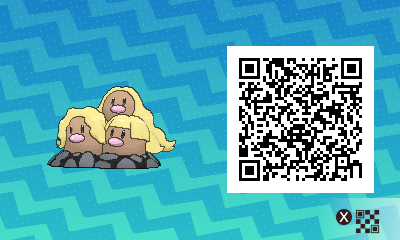 You still must catch them or trade for them in the GTS. 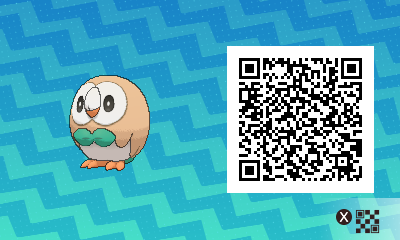 But upon using these scans if the Pokémon appears in-game you can look it up in your pokedex and it will show the location.